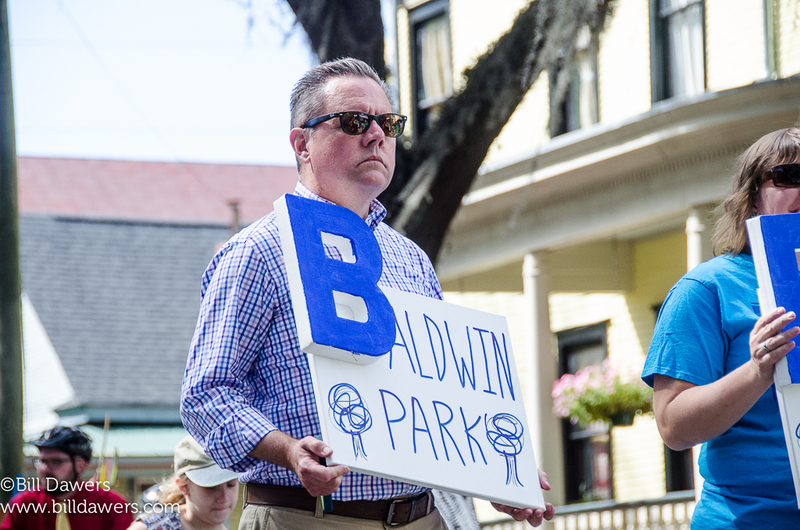 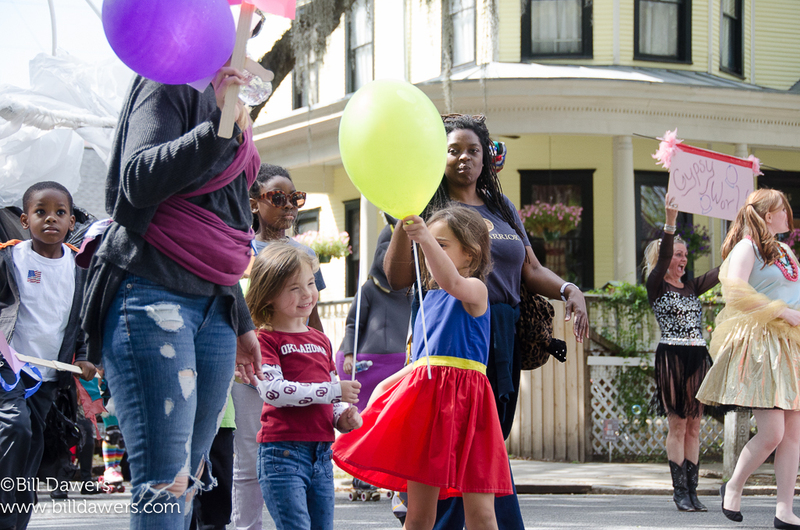 Savannah’s first art parade (presumably?) 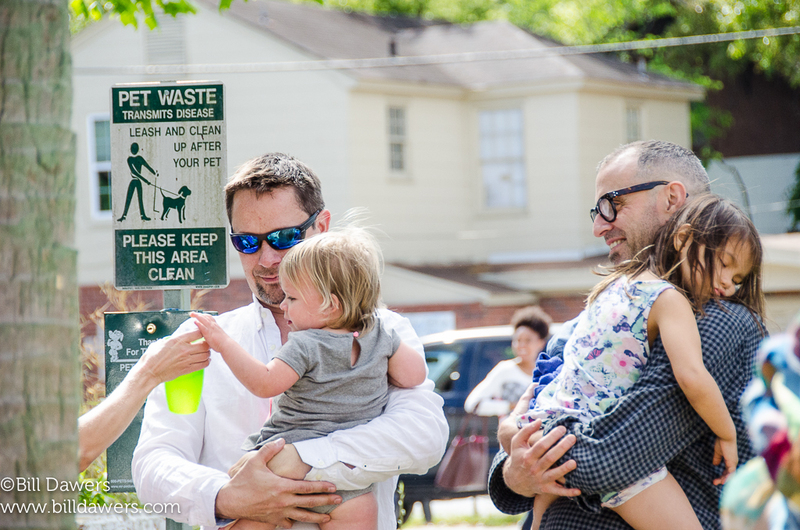 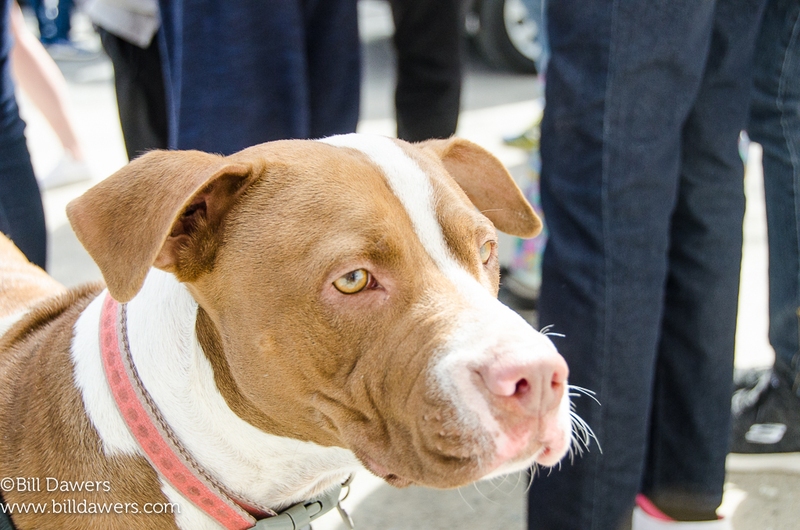 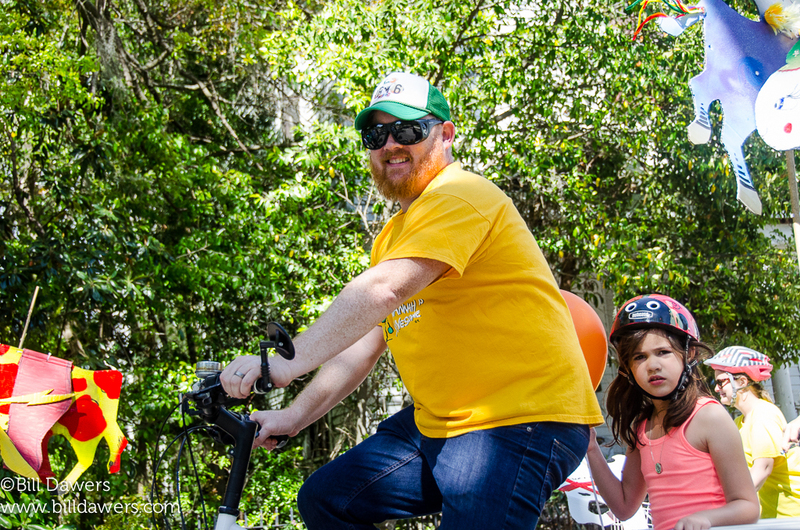 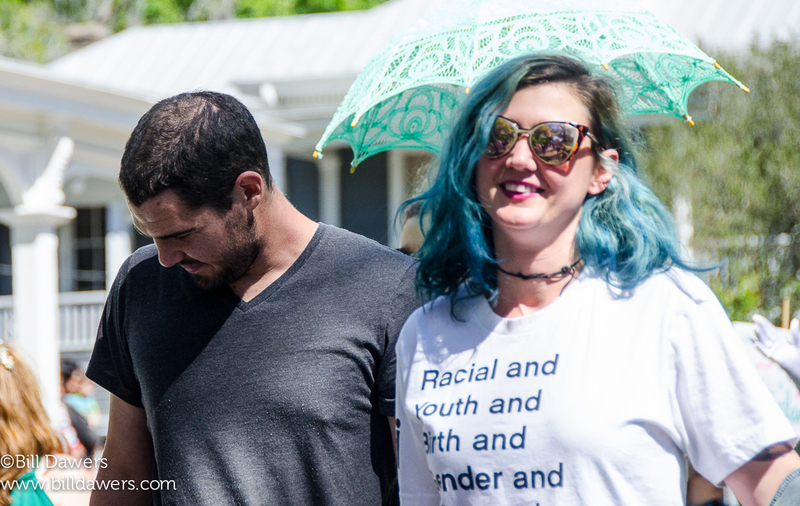 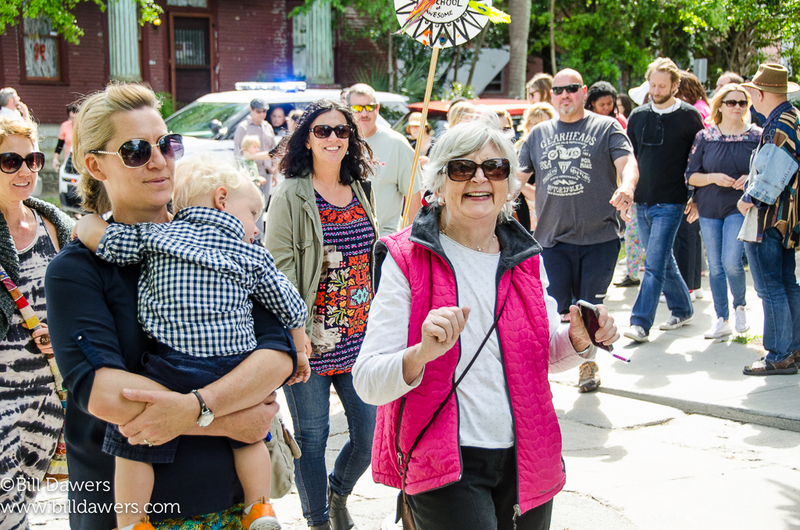 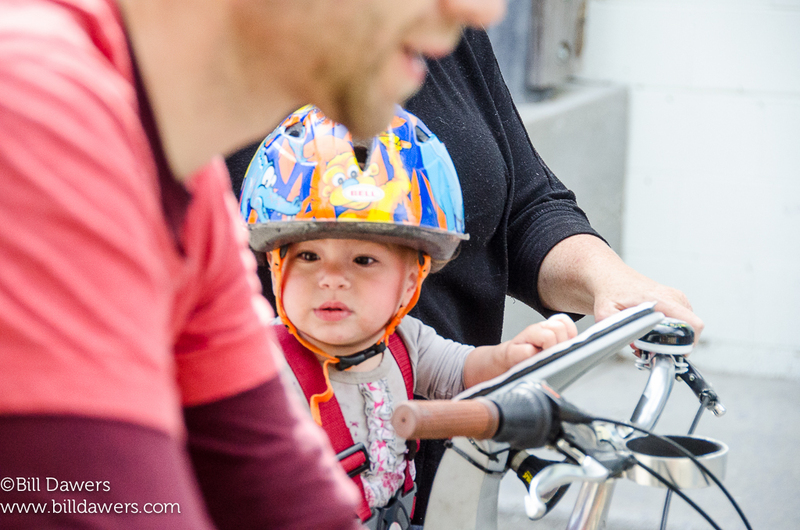 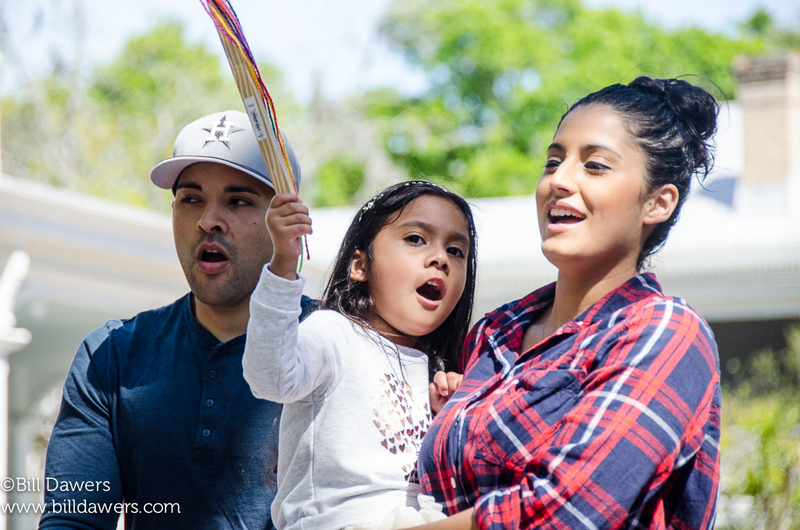 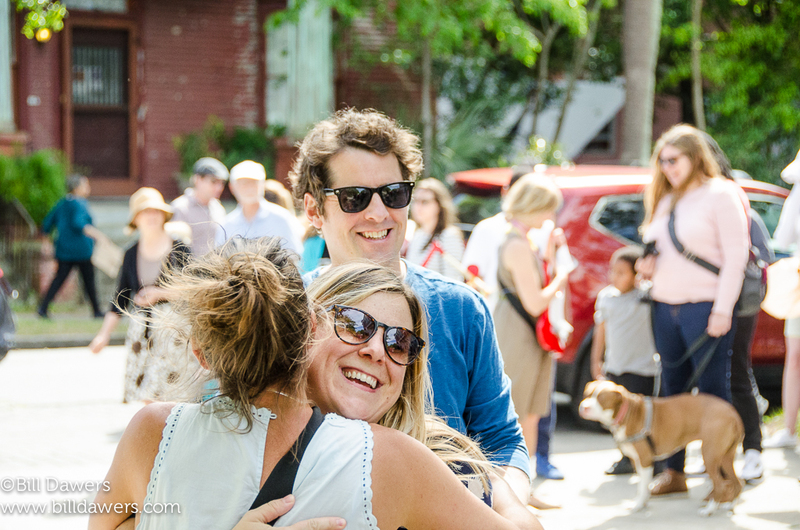 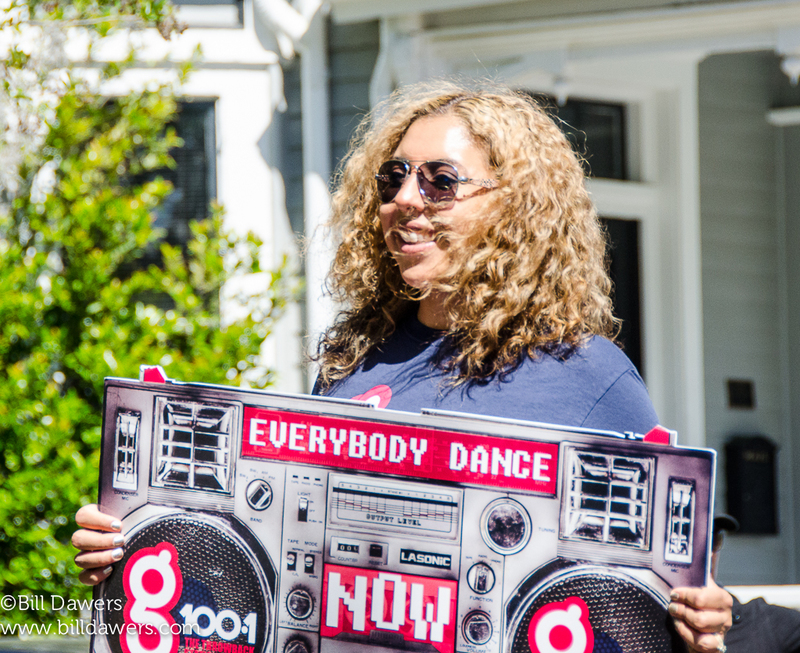 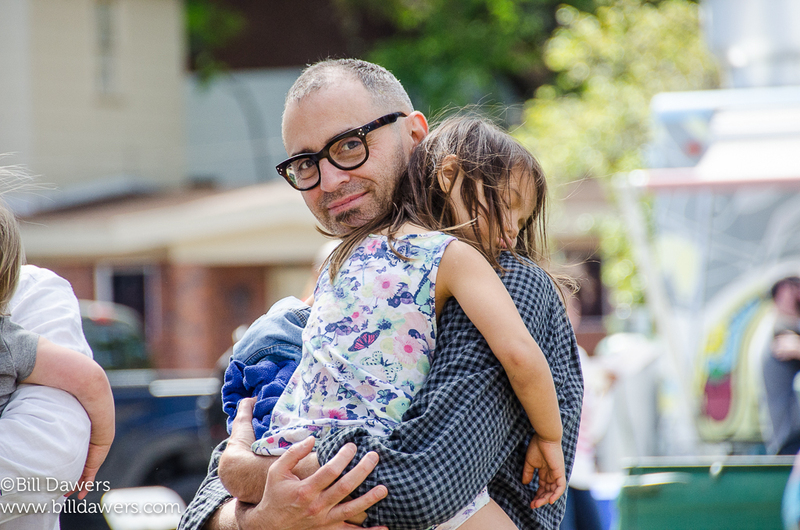 — a DIY affair supported by a host of community and neighborhood organizations — meandered through the Starland district on Saturday before ending in a huge block party in the vacant lot along DeSoto Avenue. 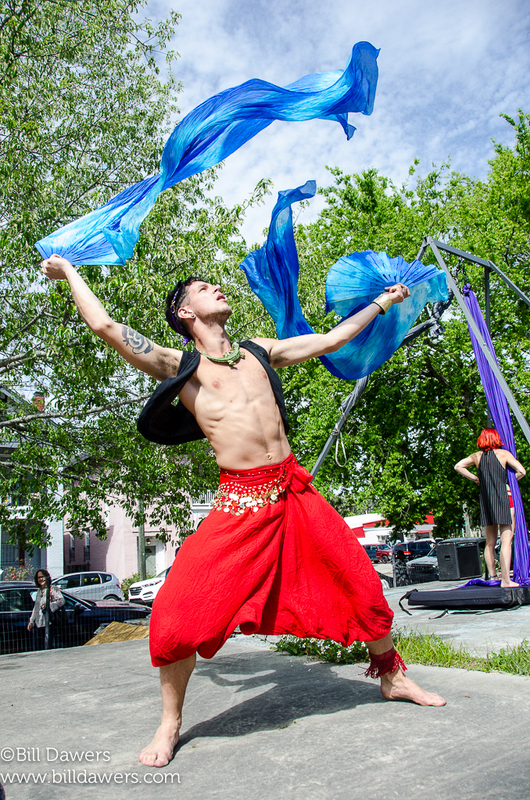 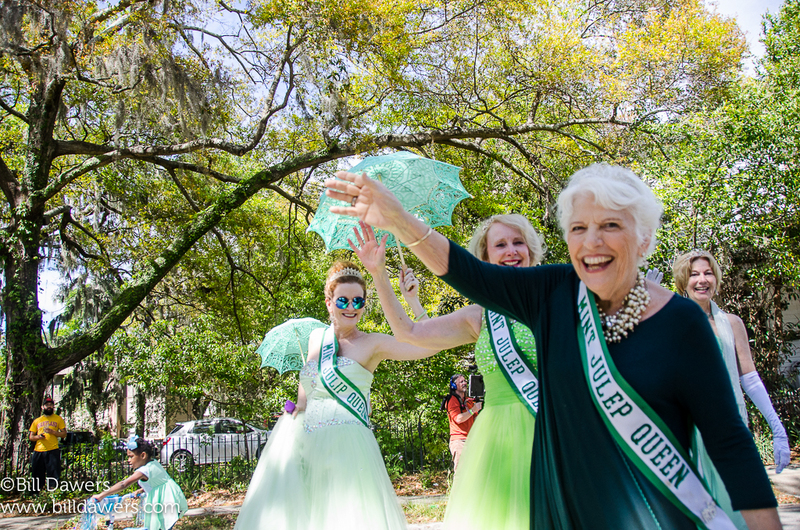 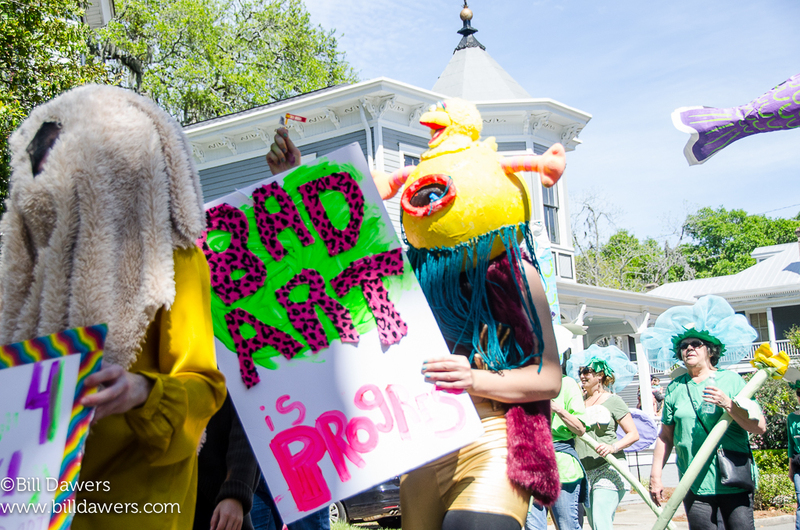 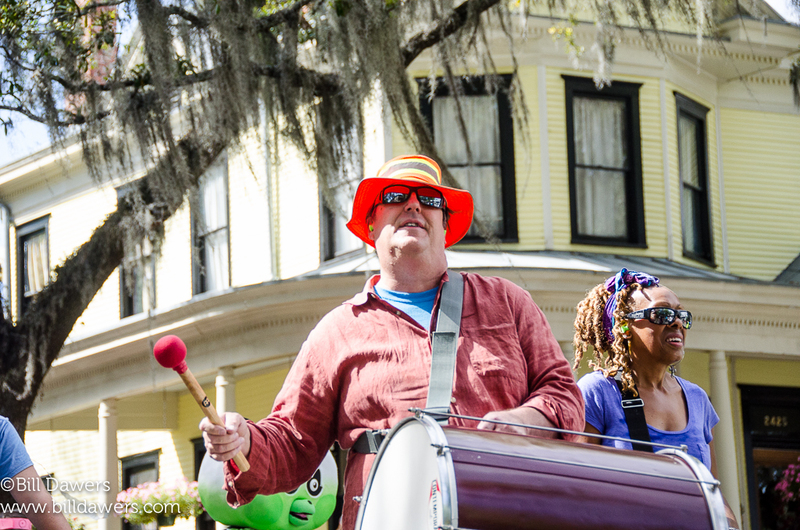 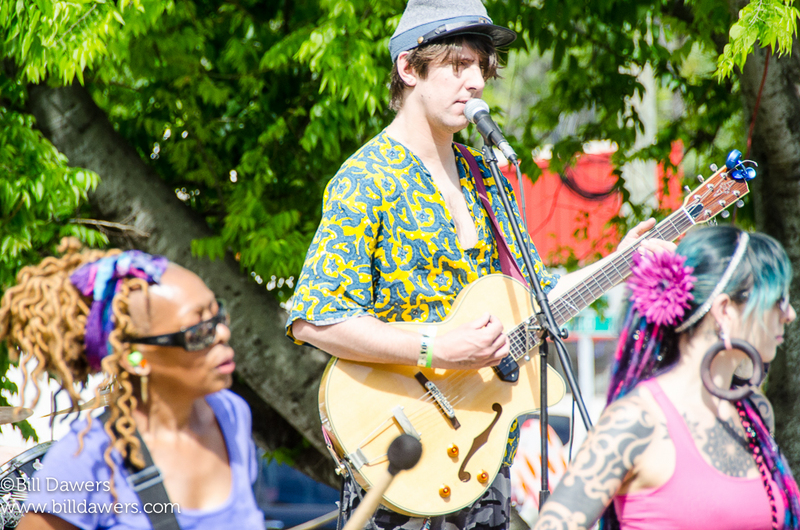 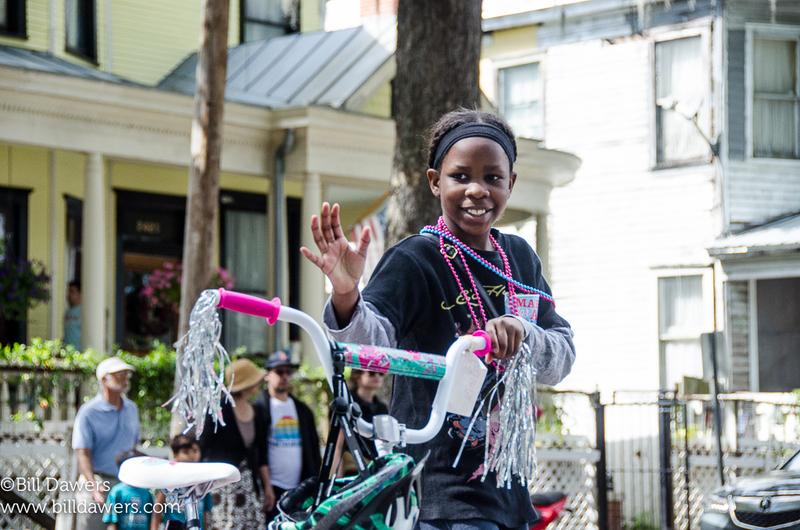 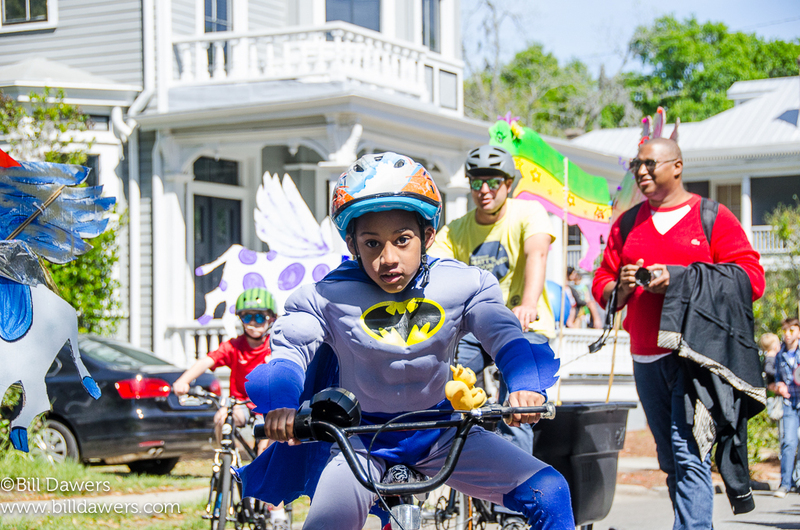 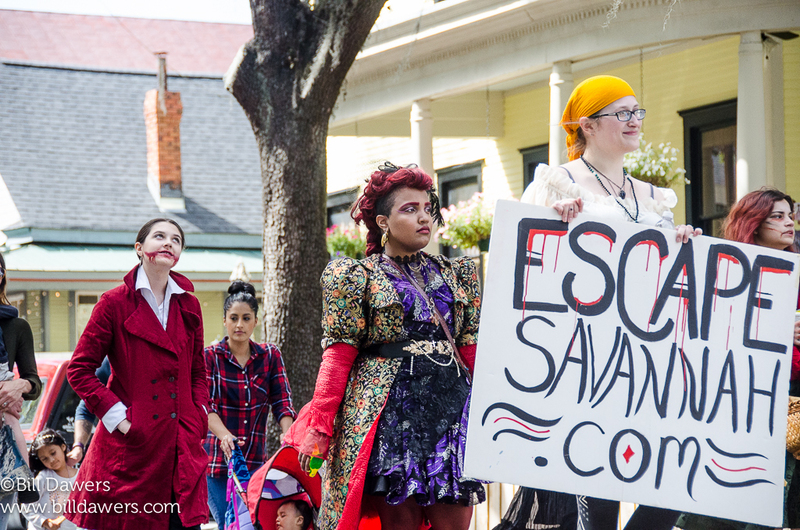 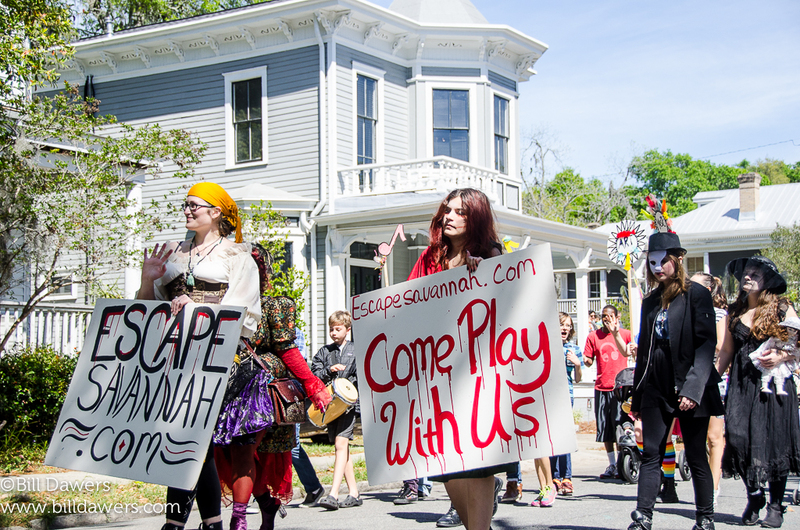 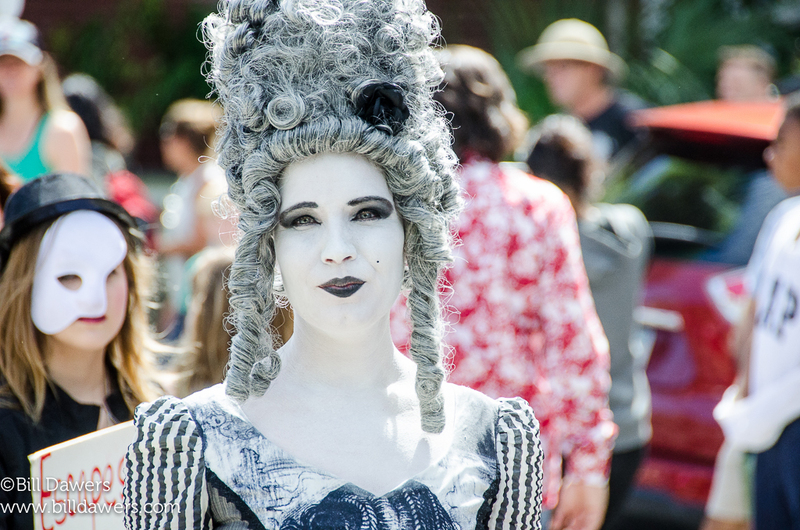 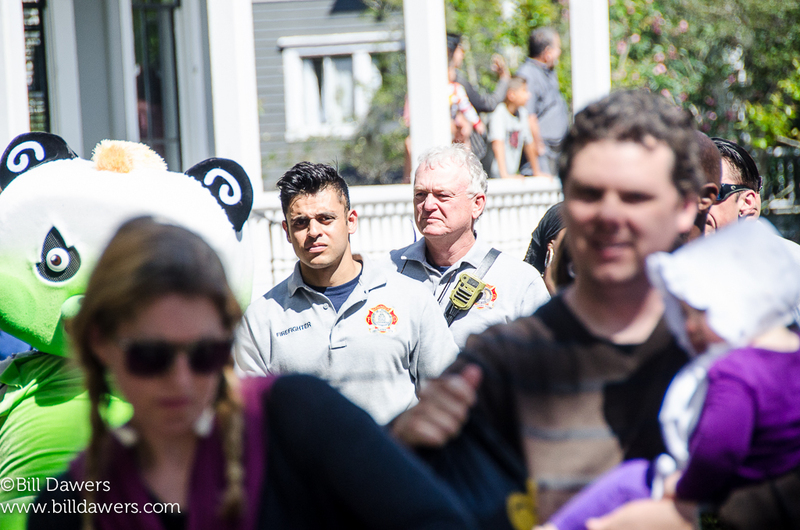 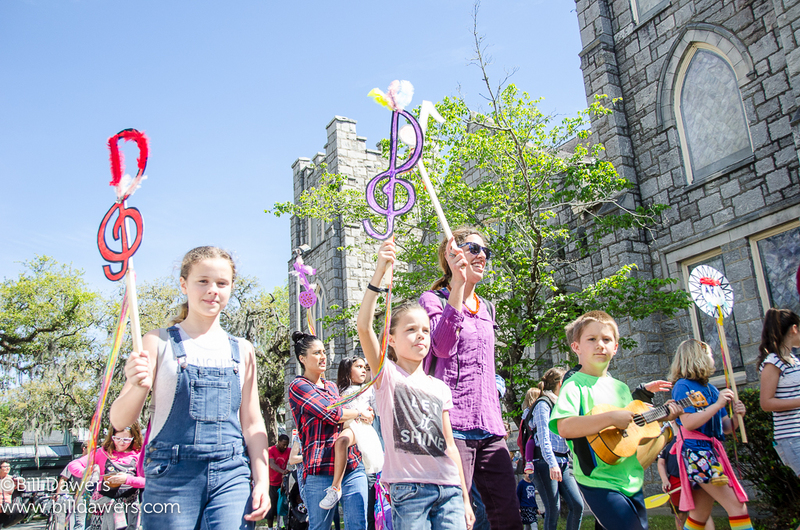 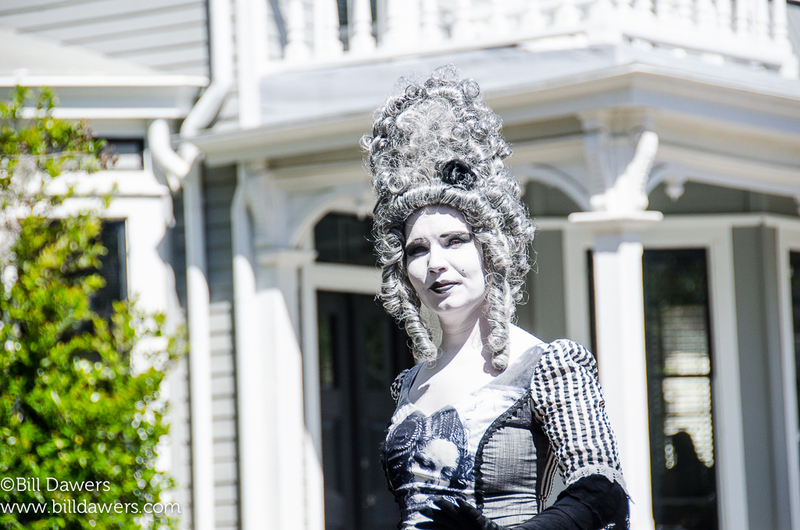 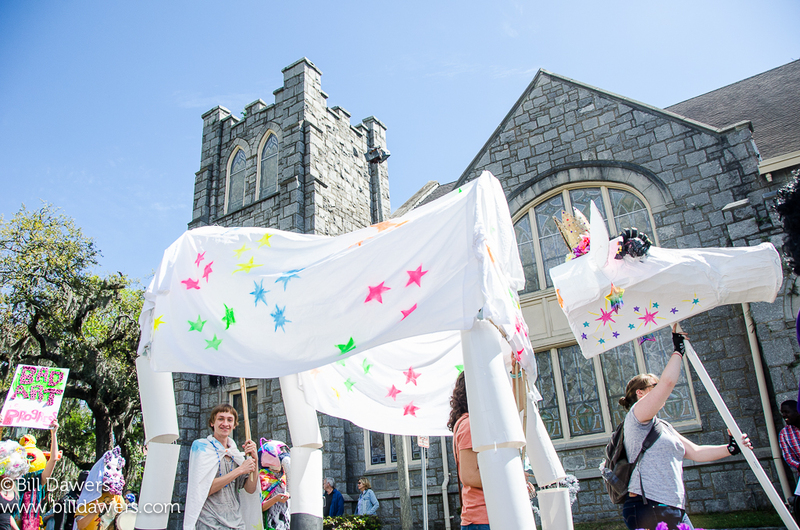 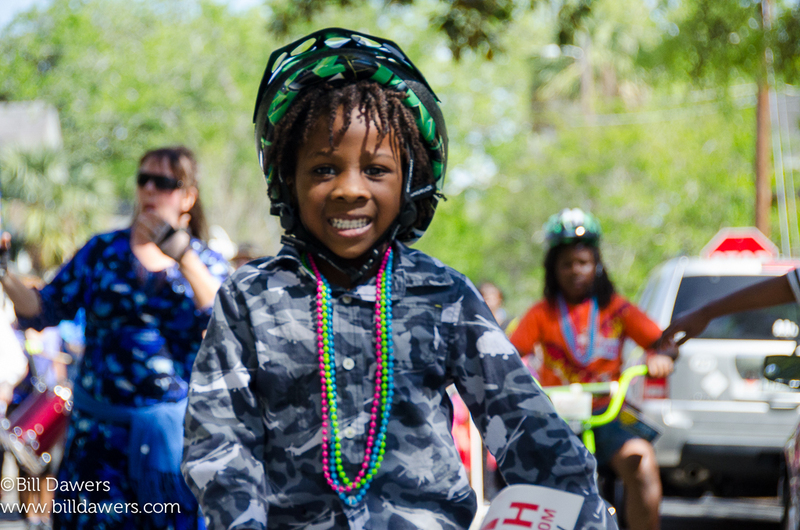 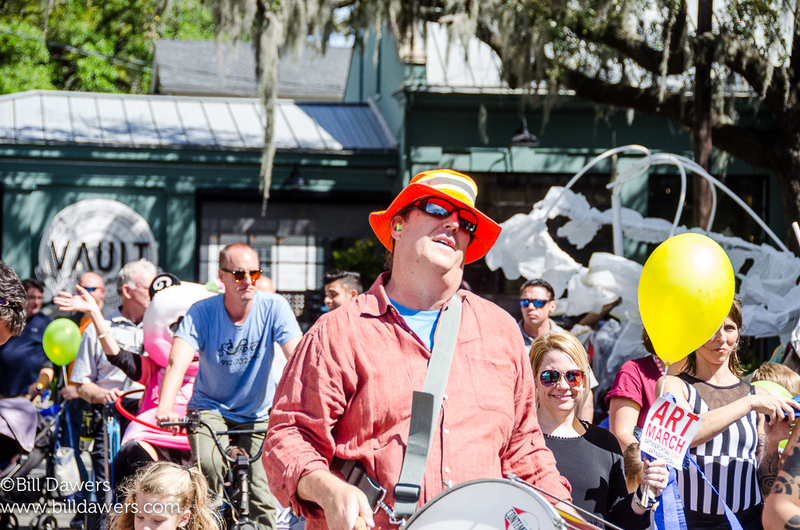 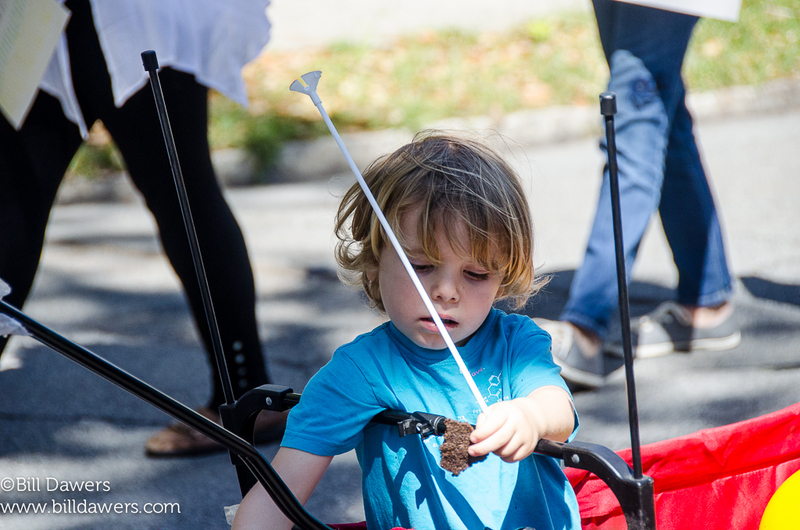 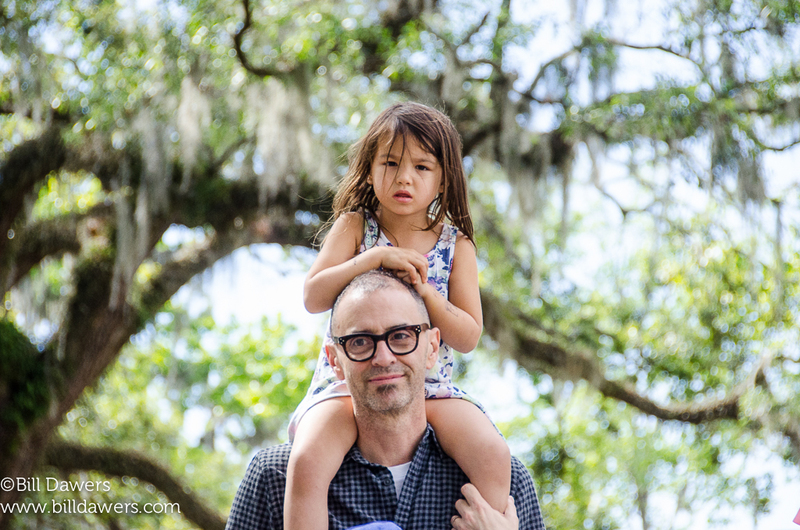 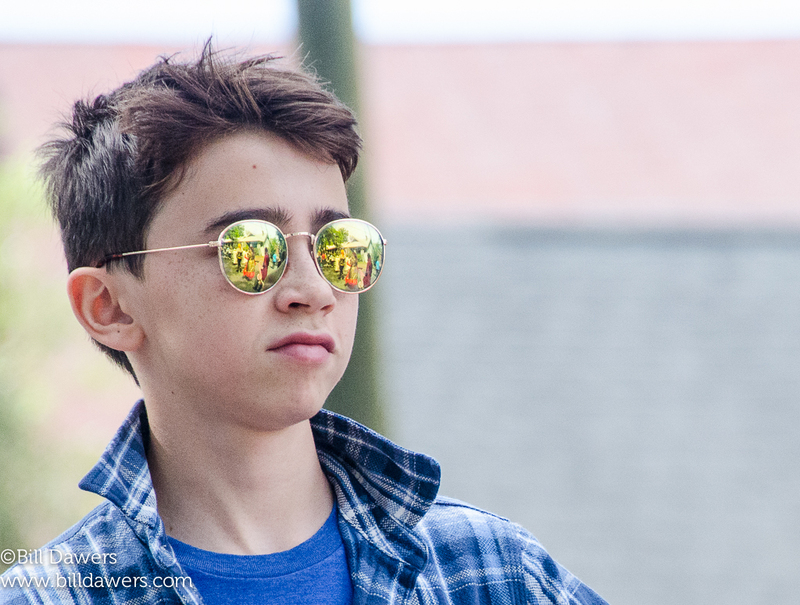 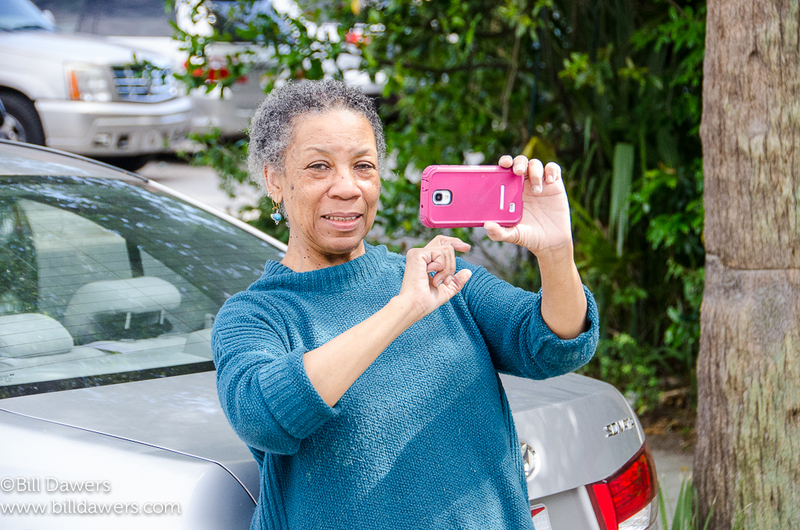 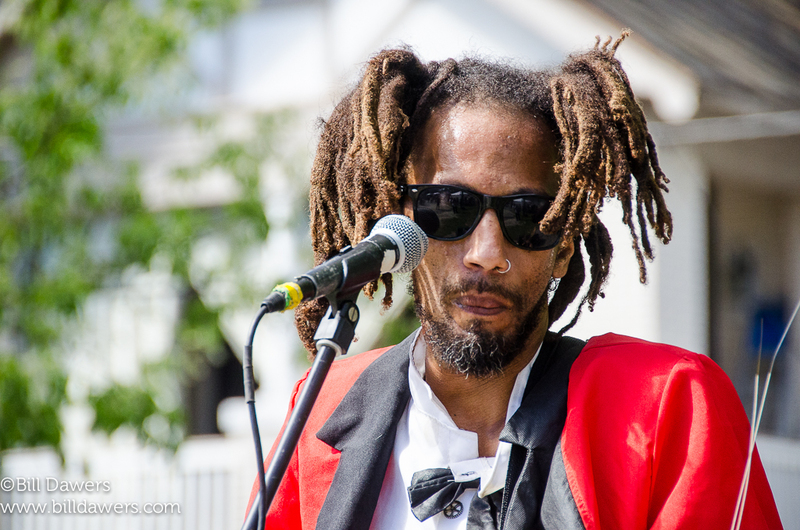 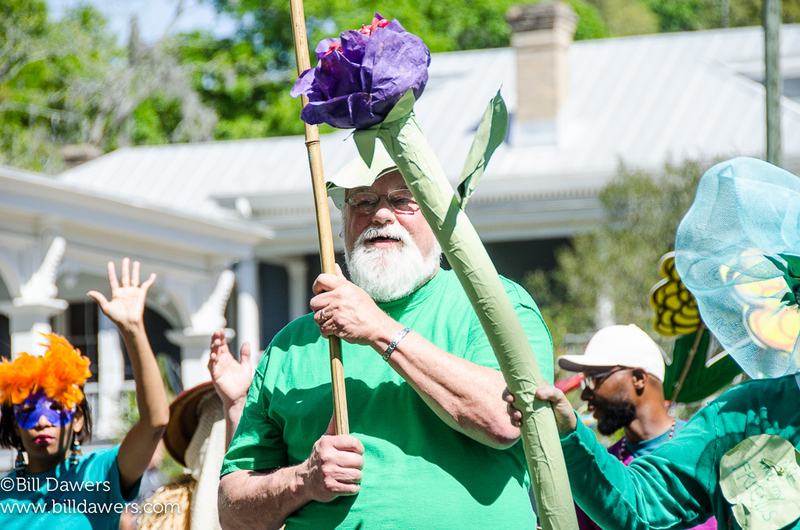 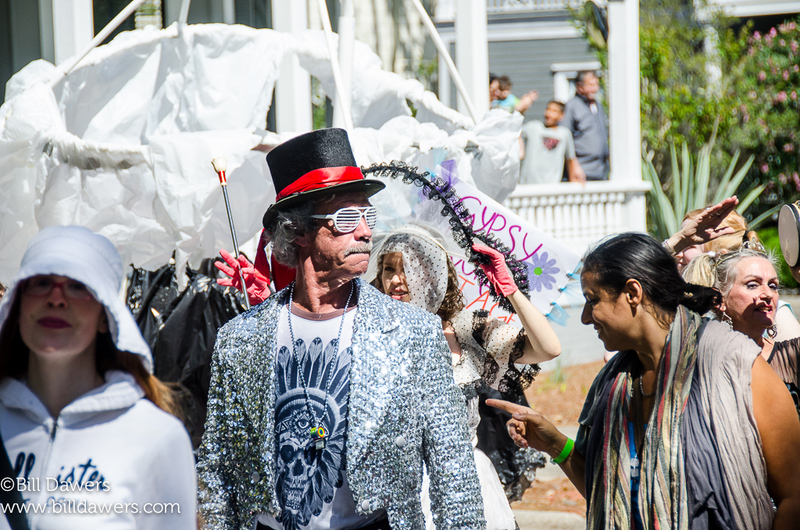 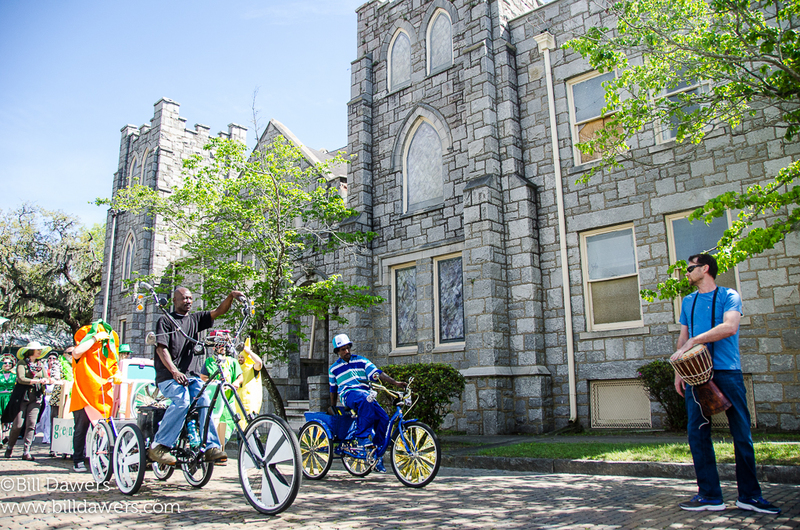 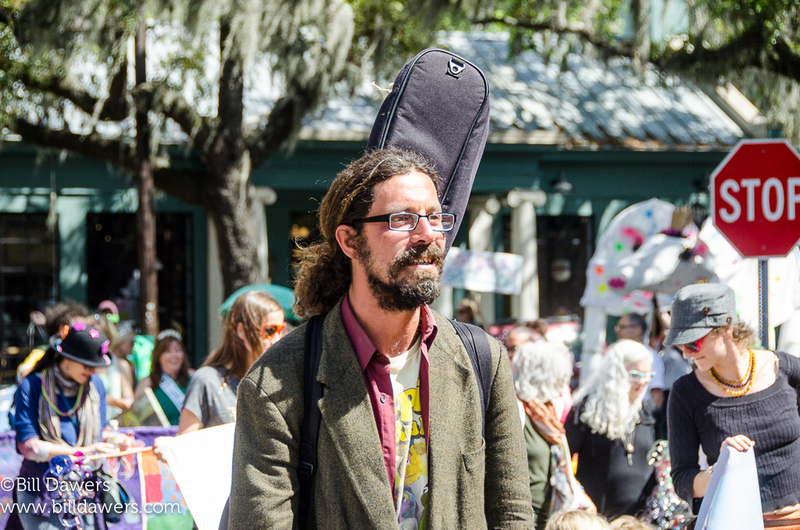 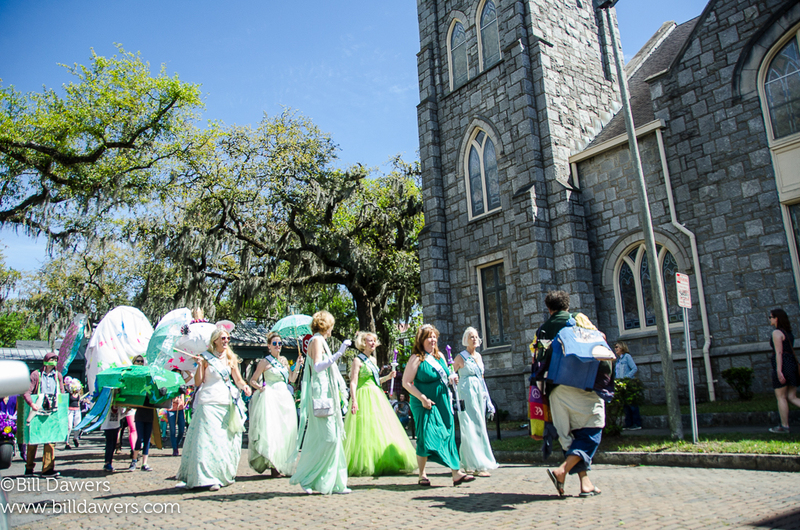 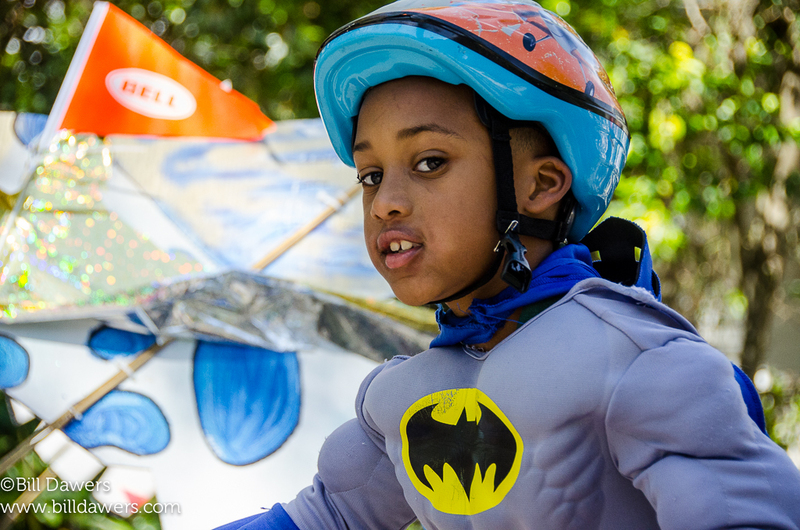 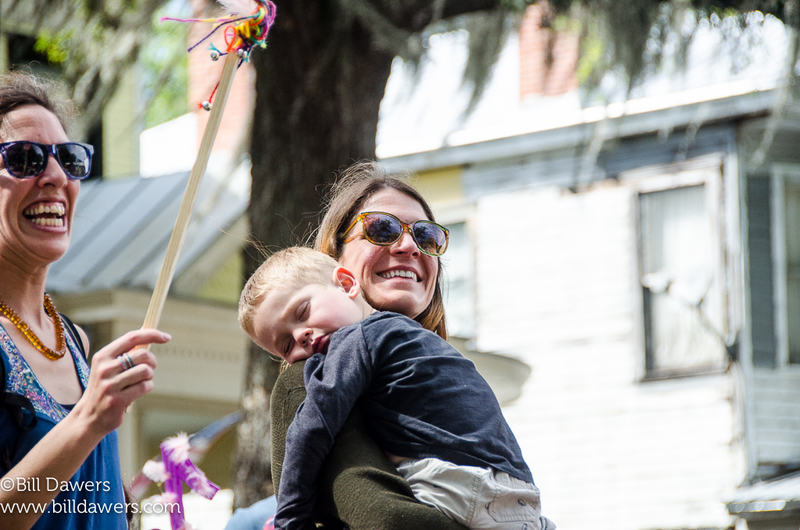 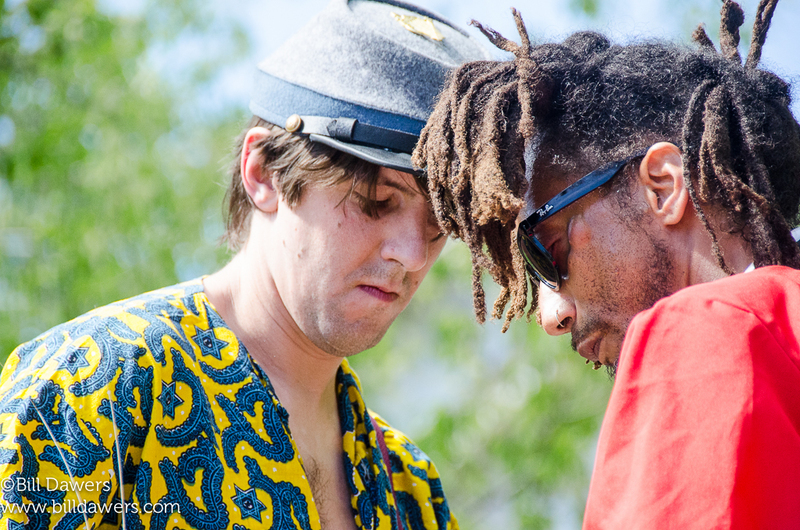 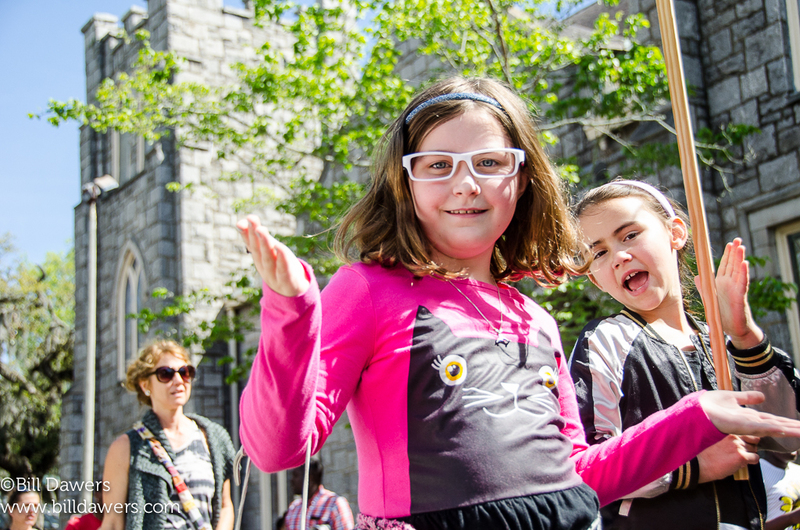 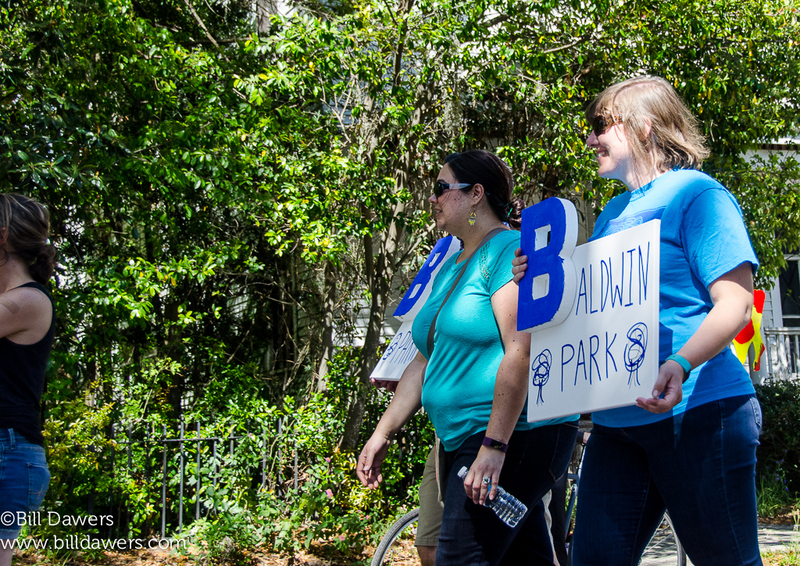 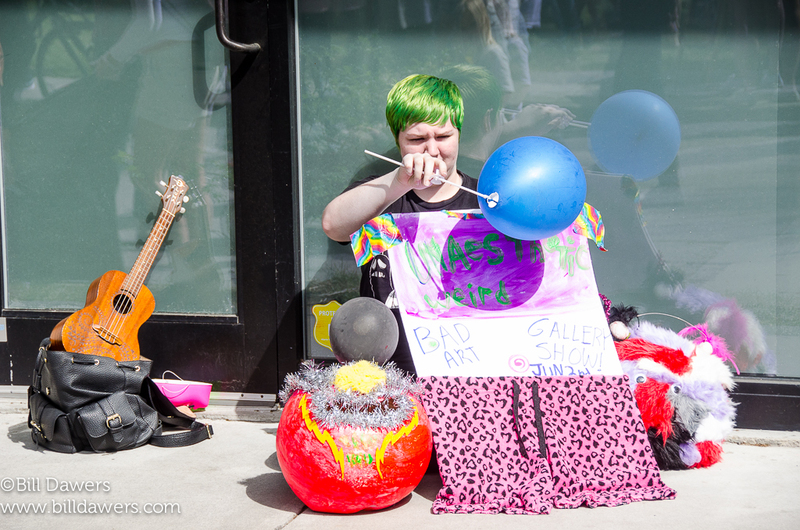 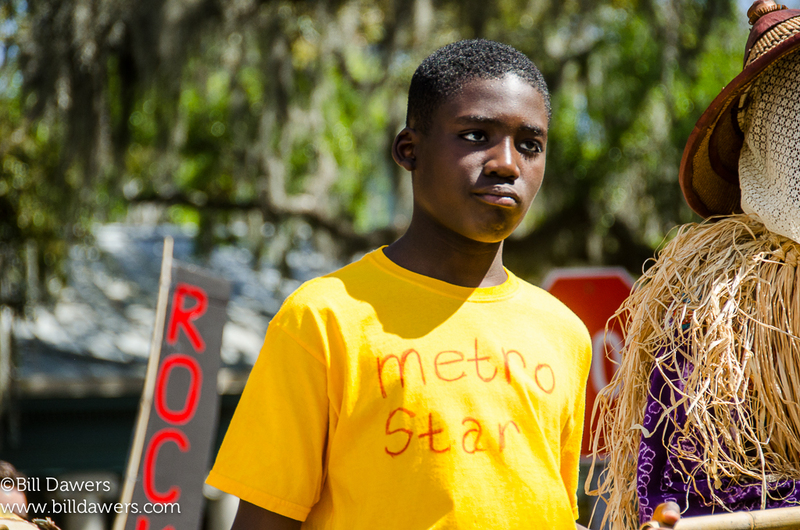 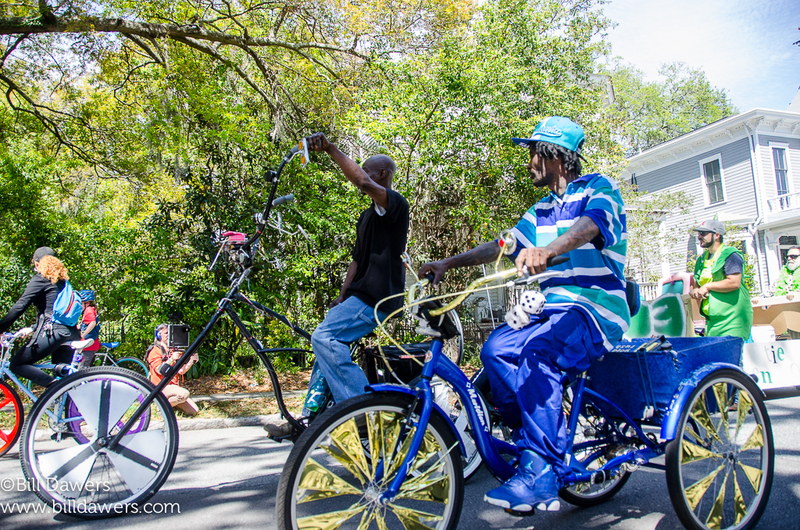 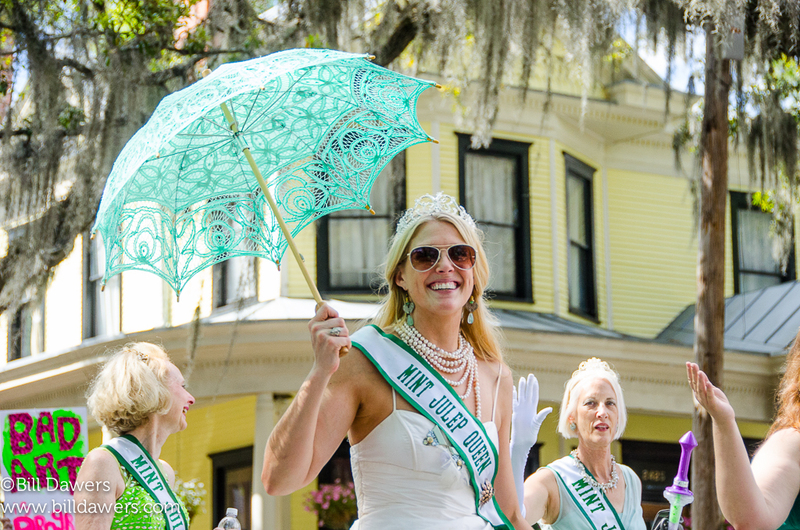 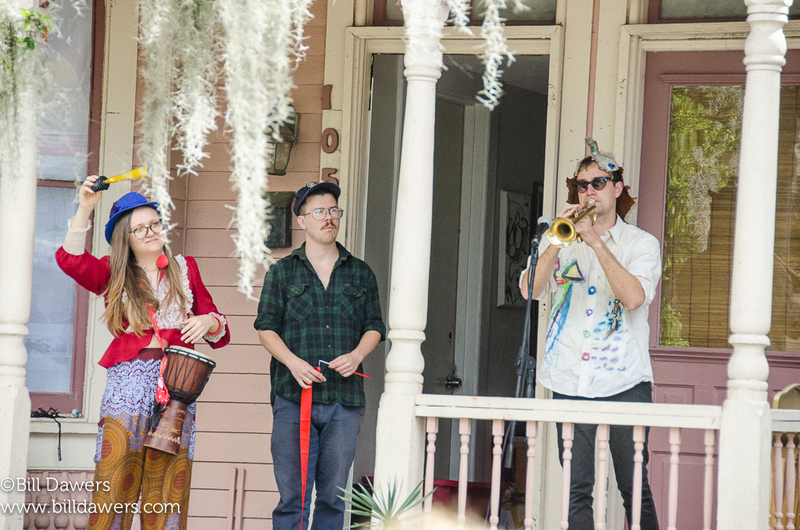 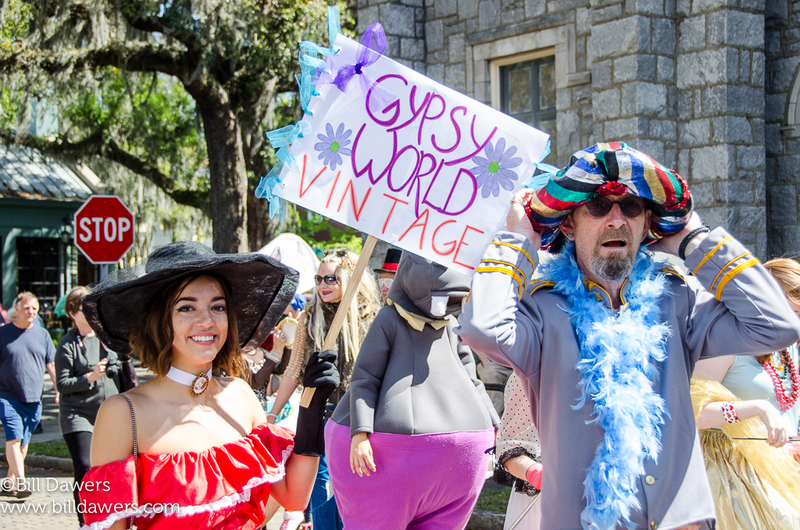 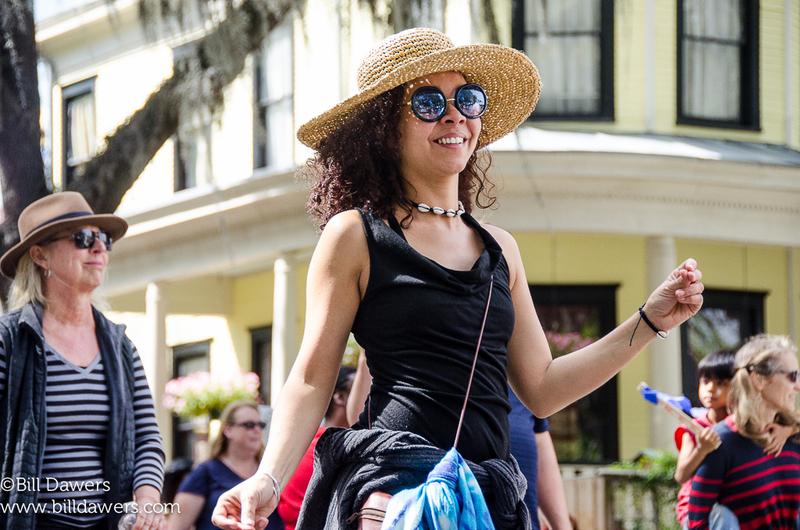 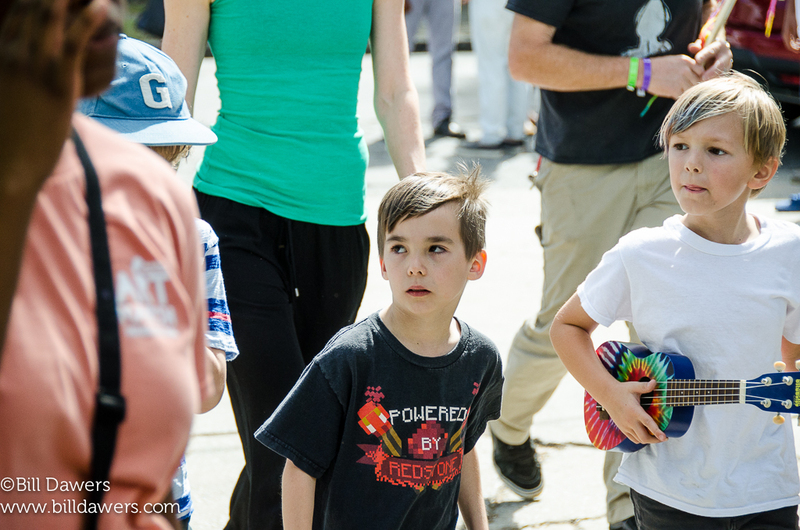 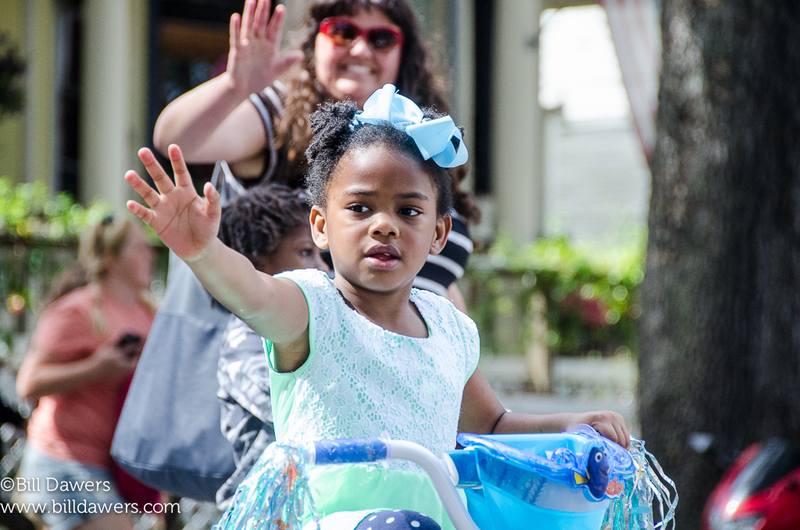 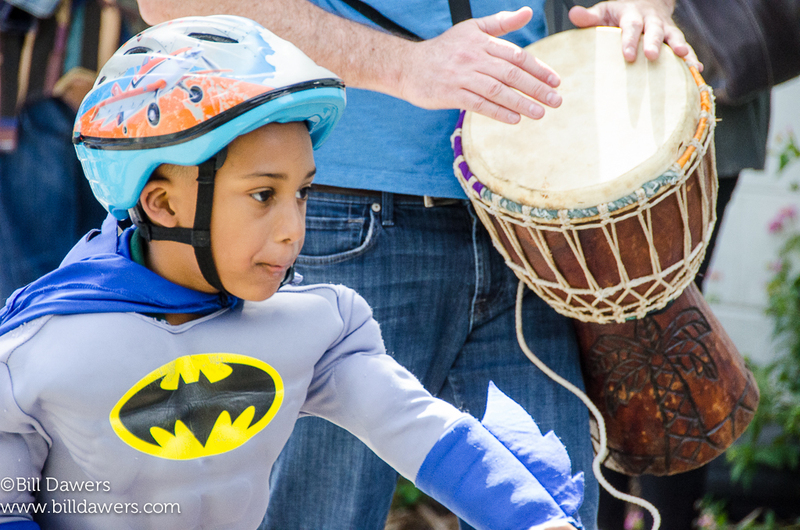 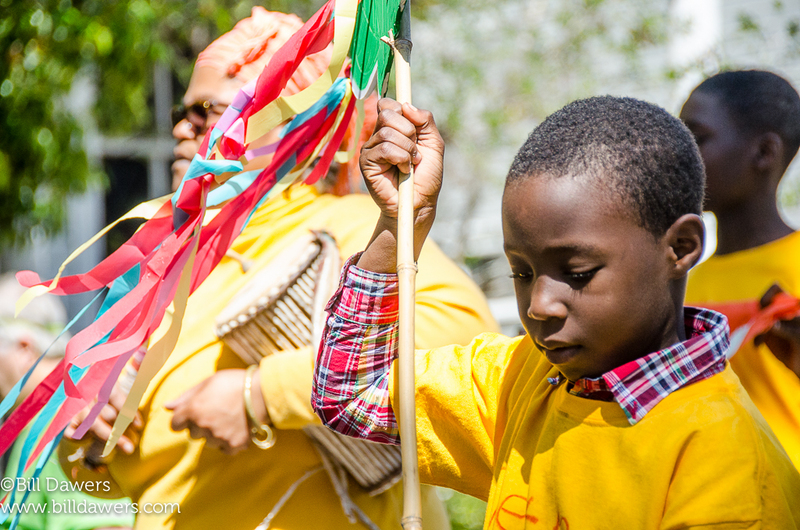 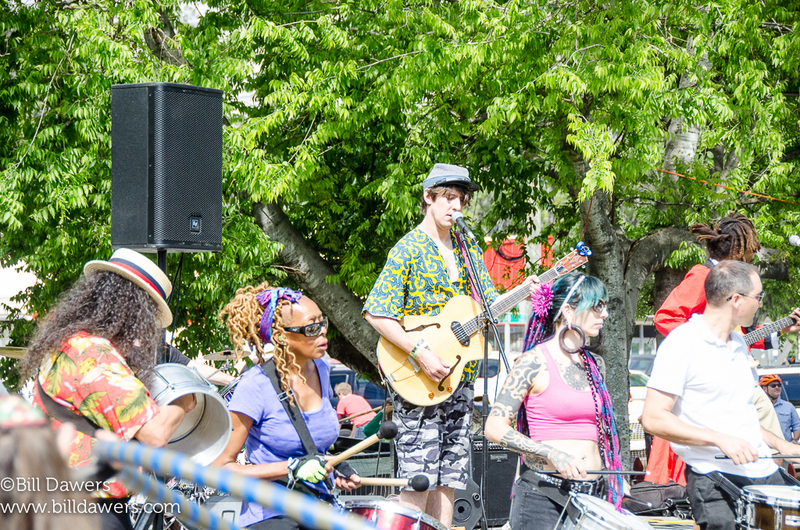 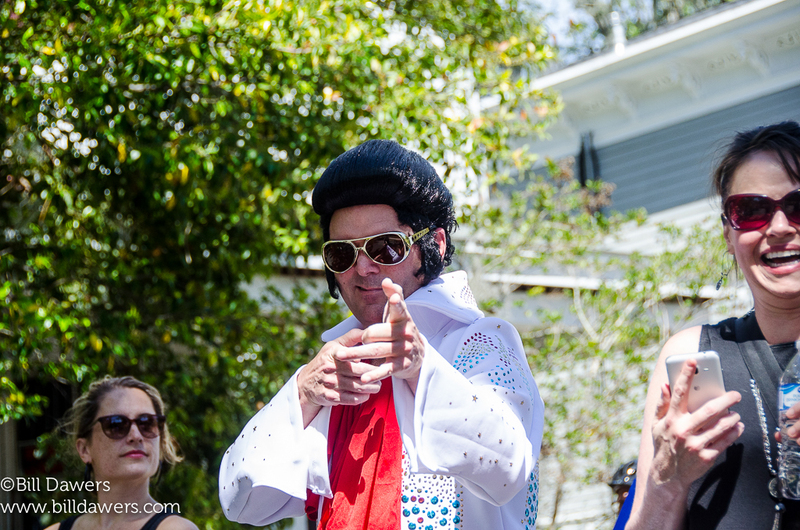 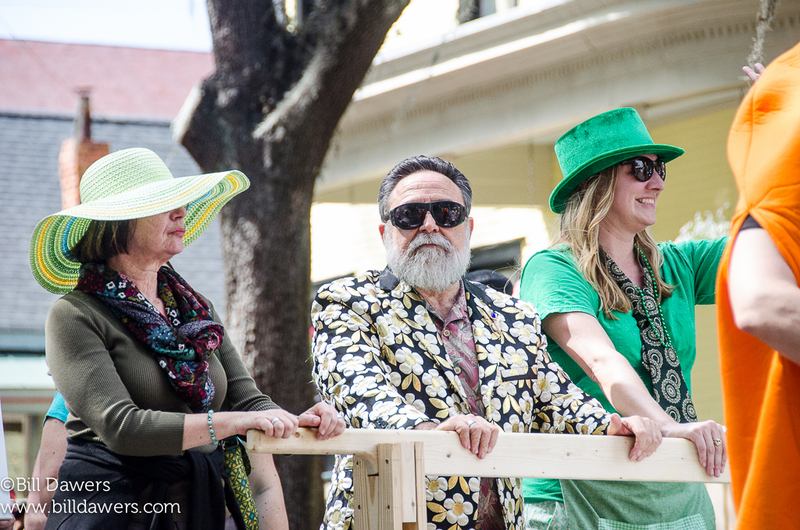 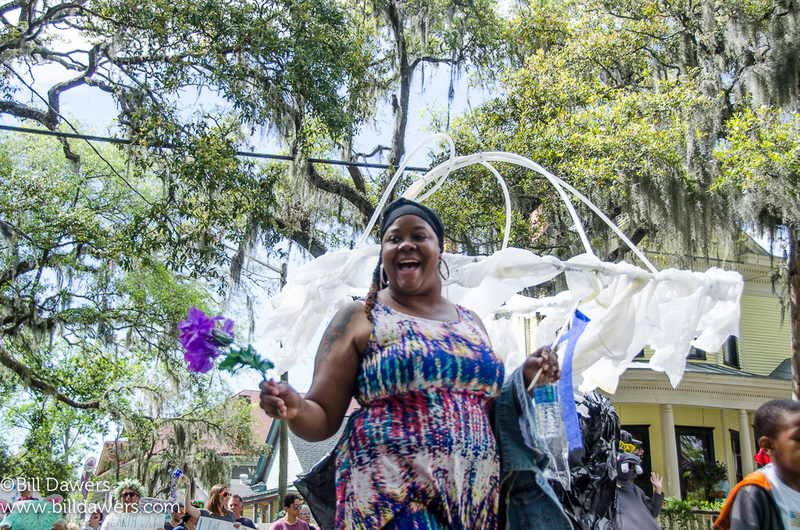 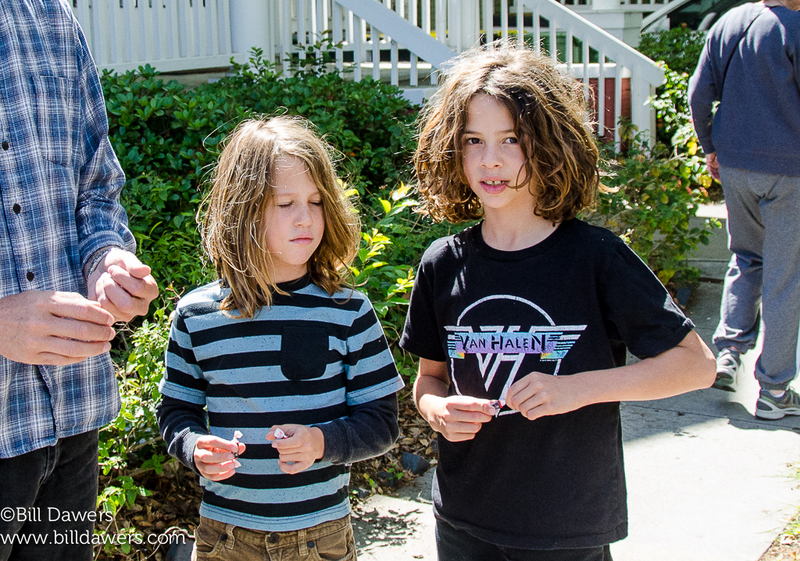 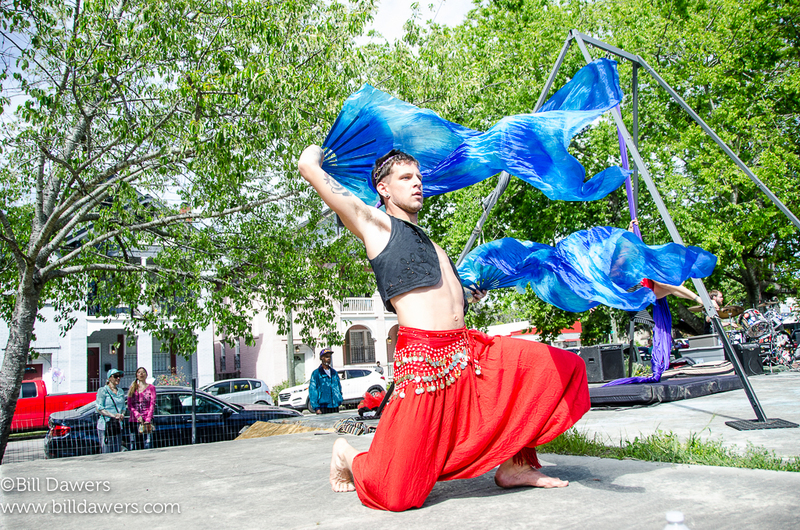 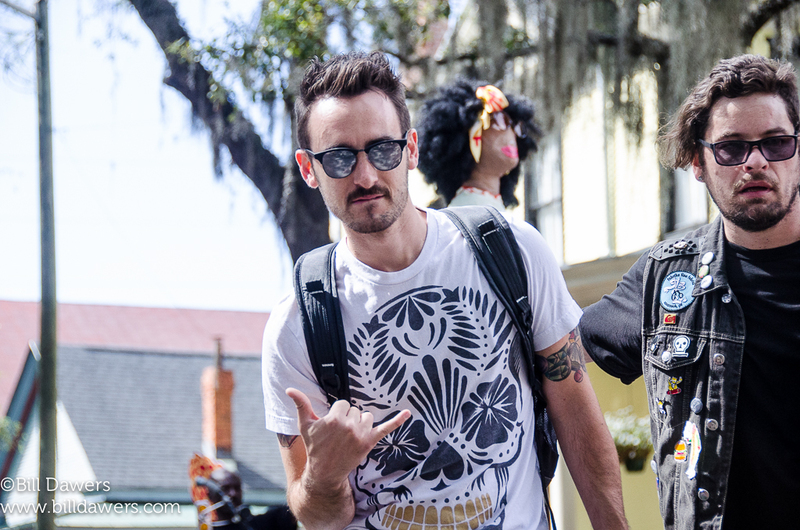 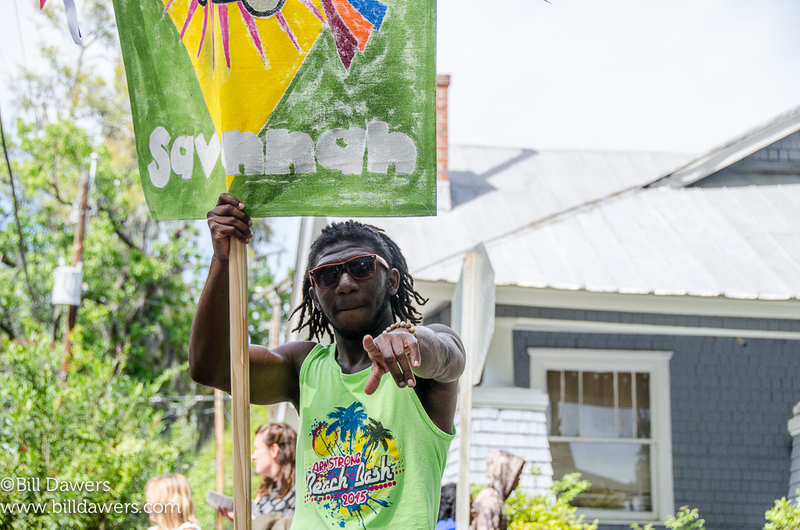 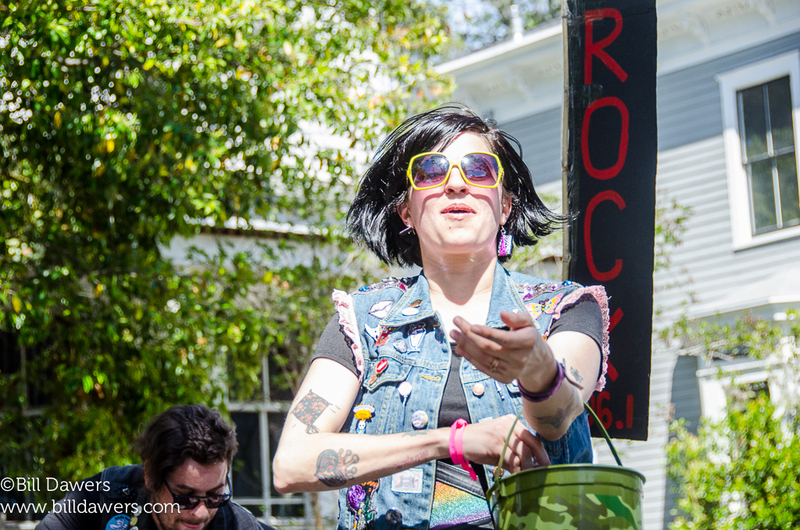 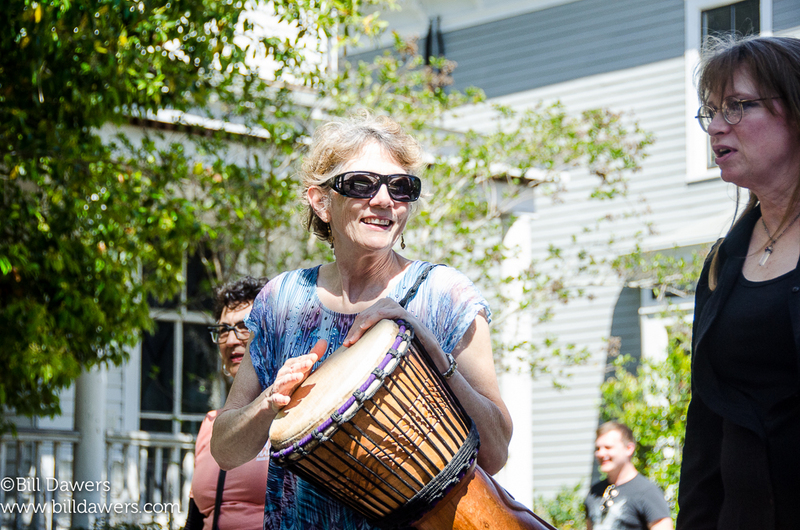 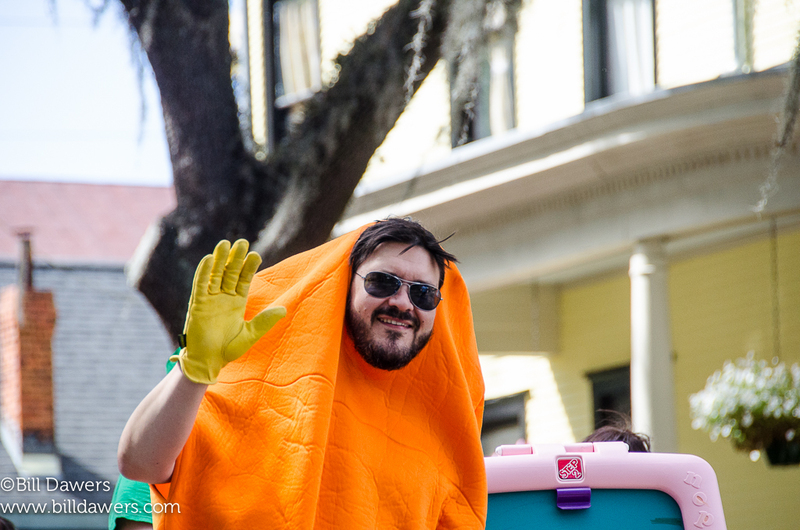 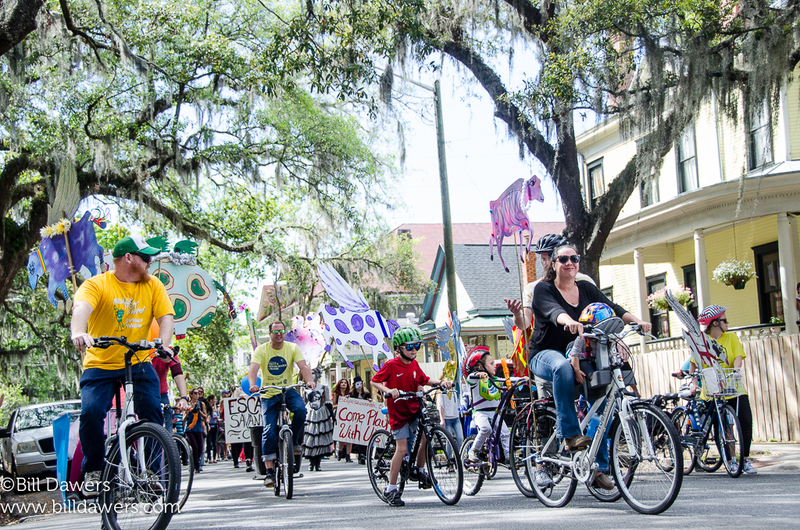 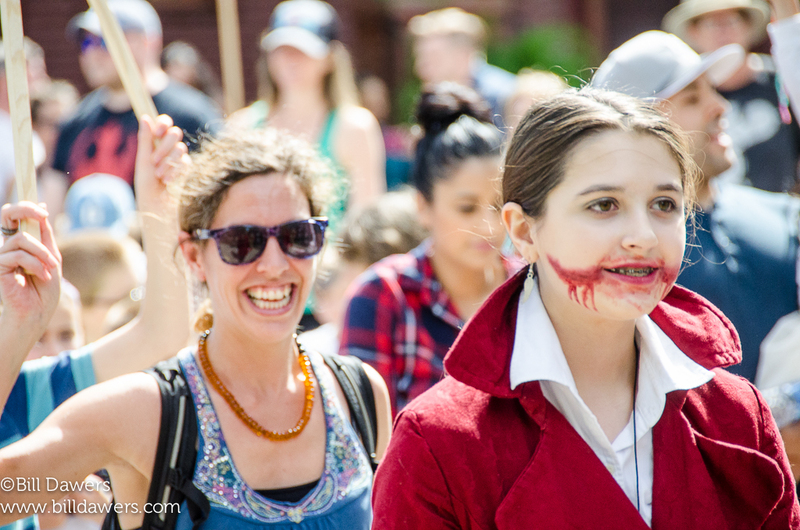 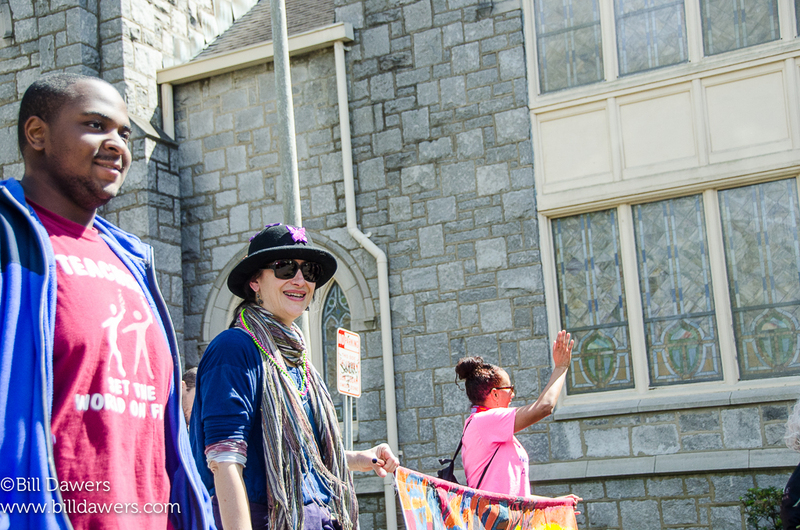 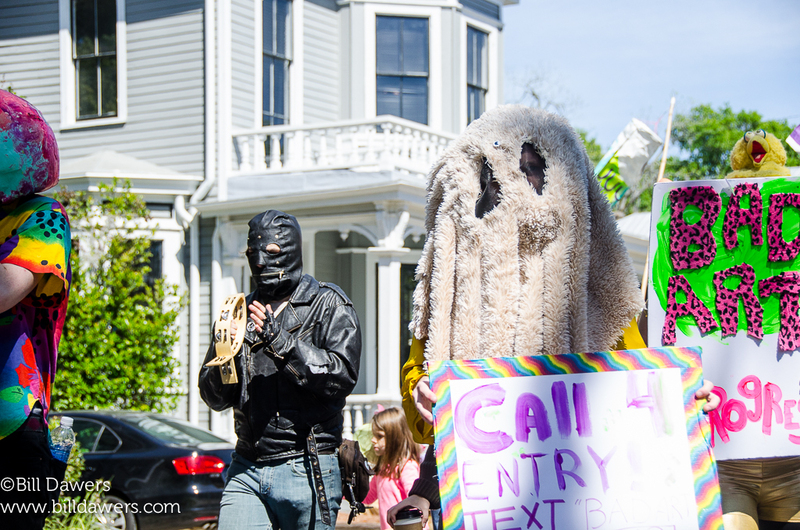 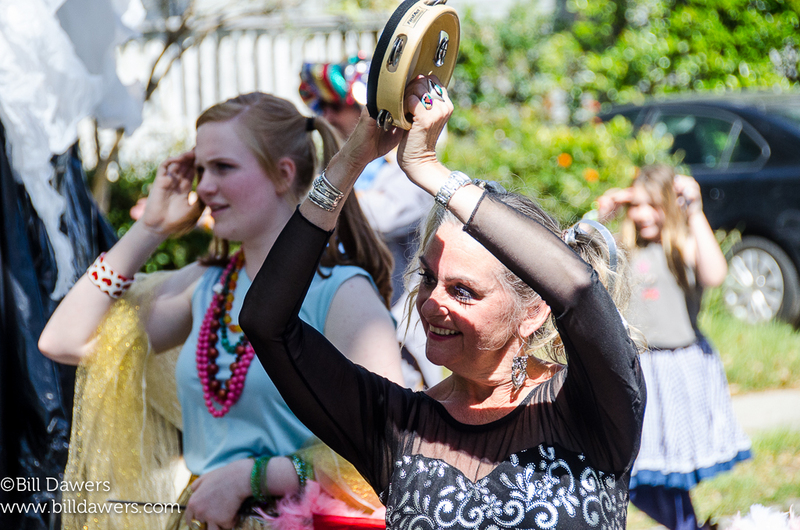 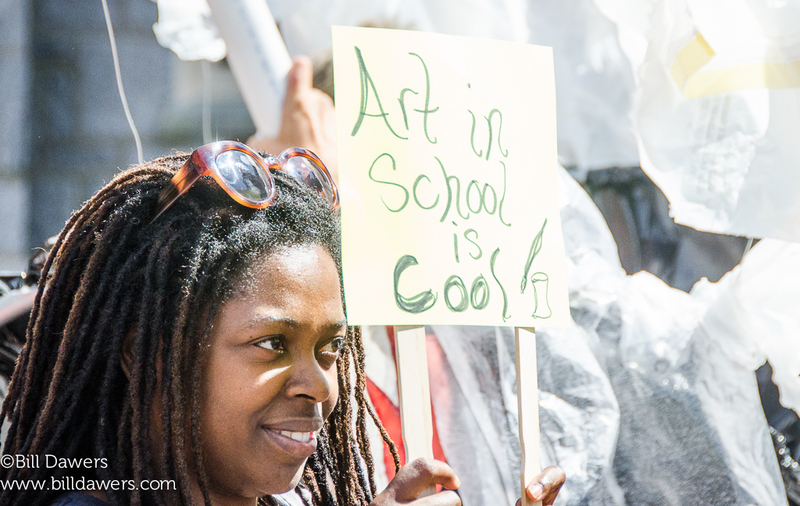 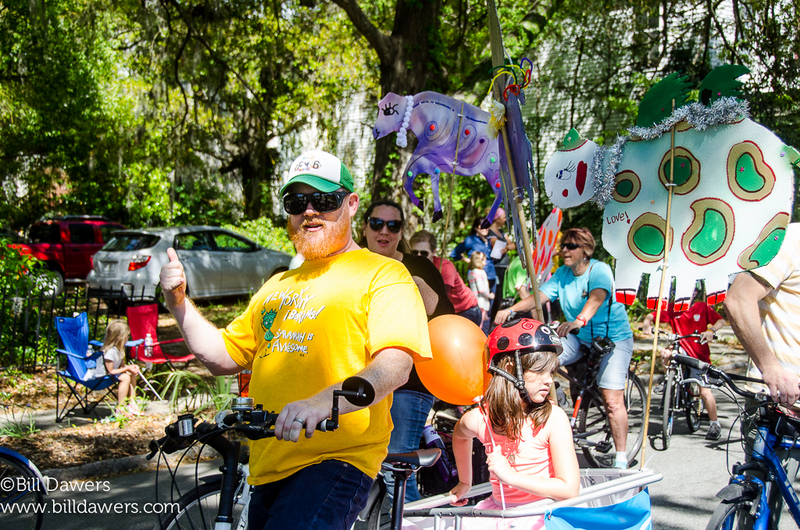 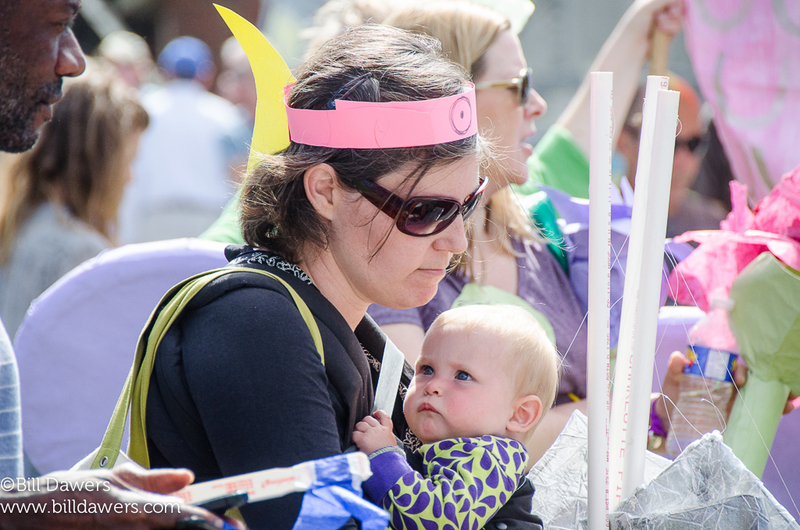 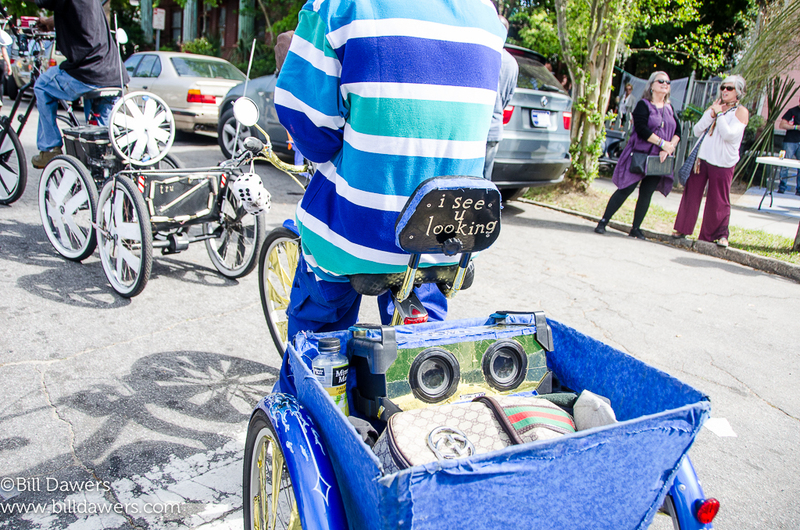 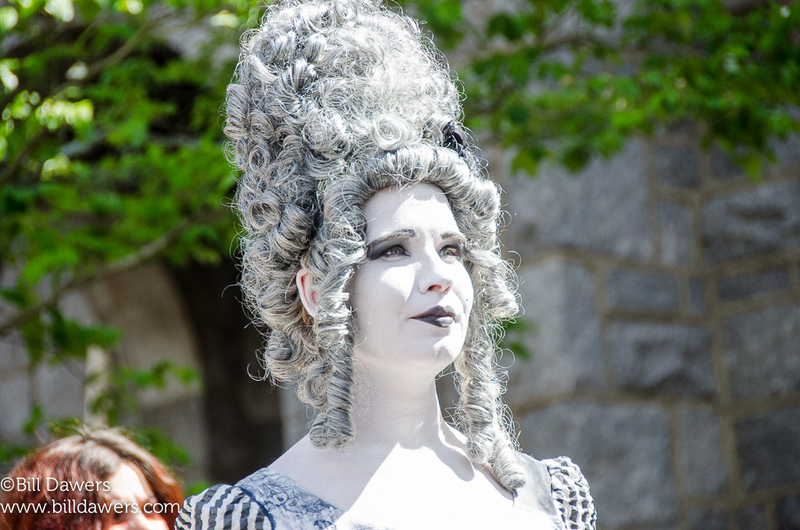 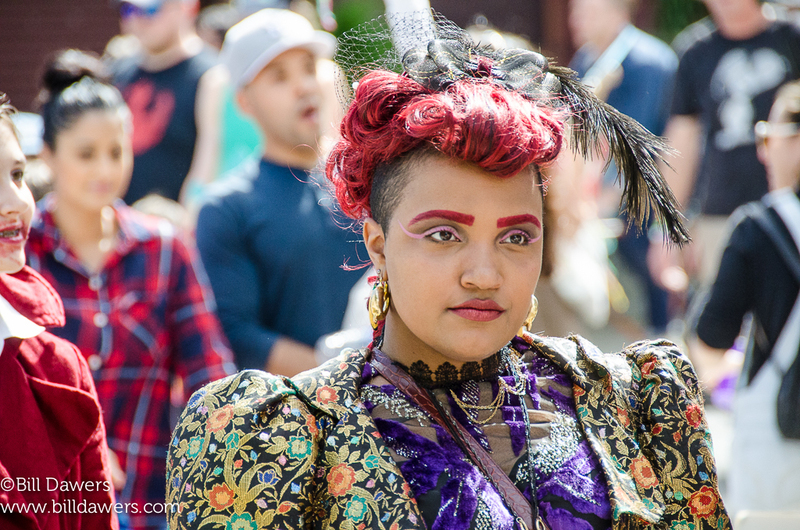 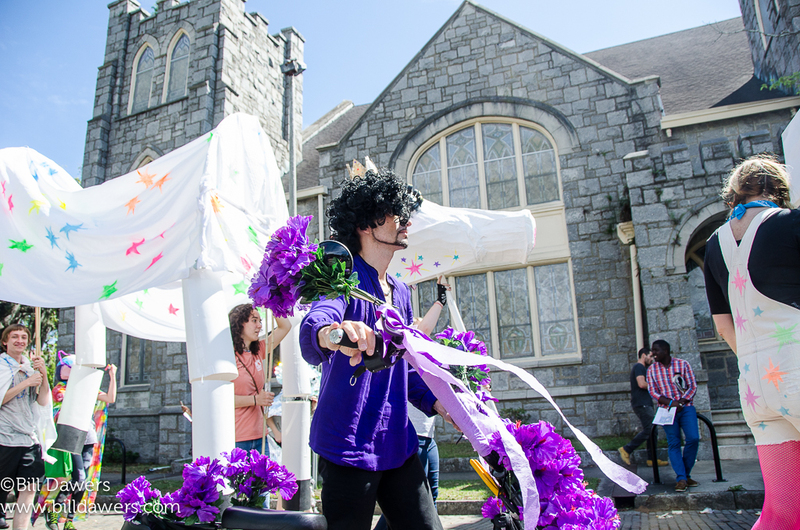 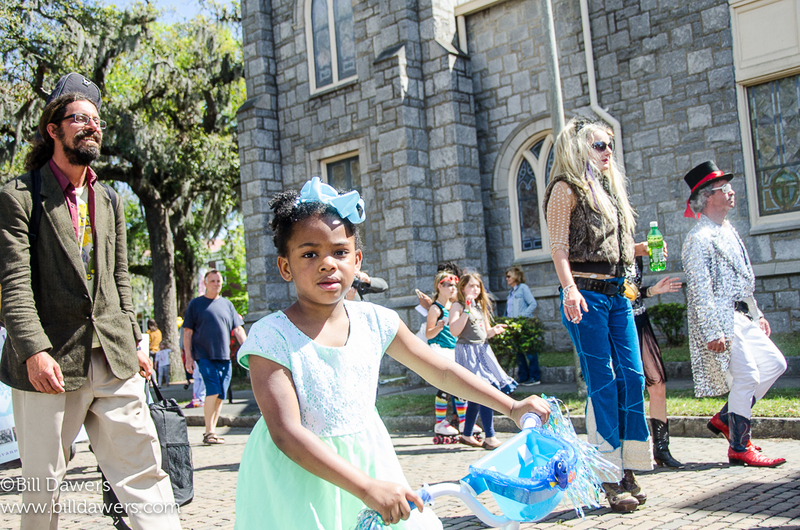 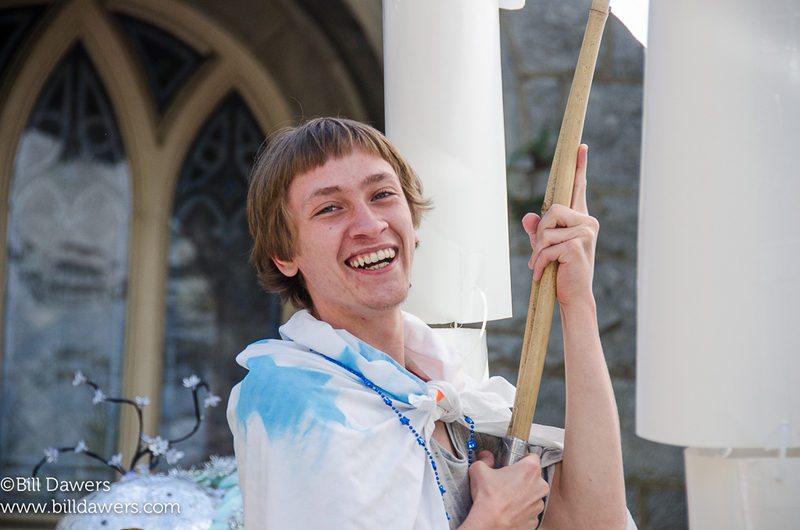 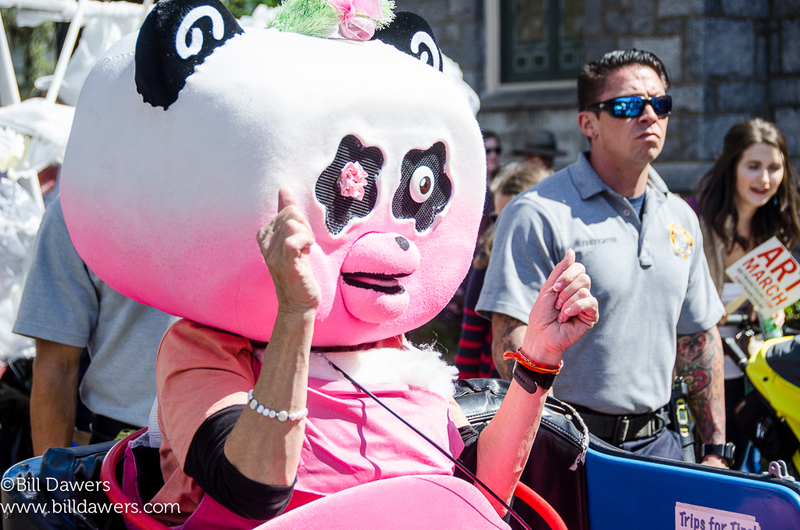 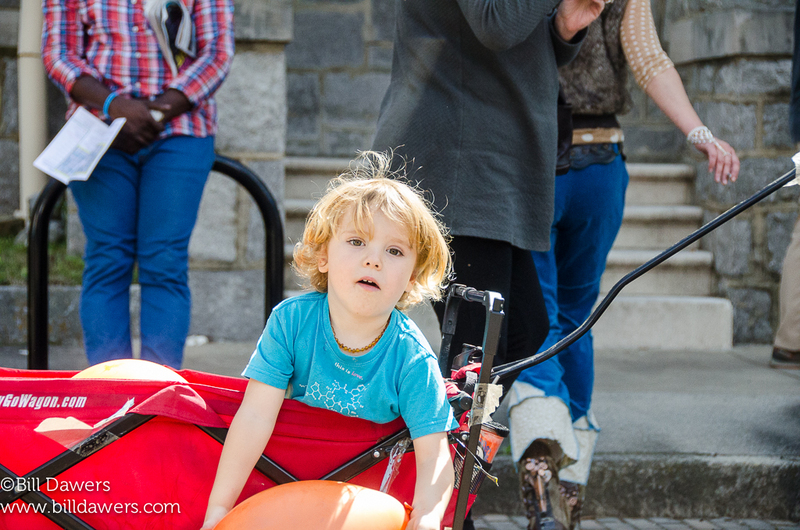 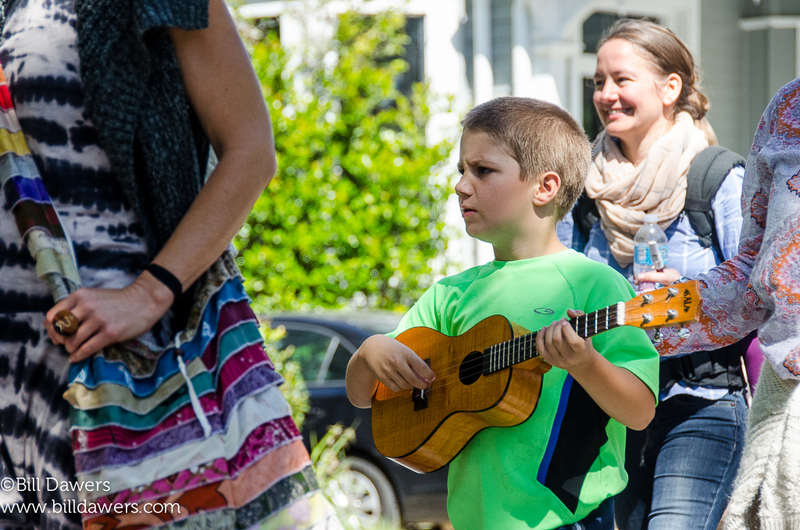 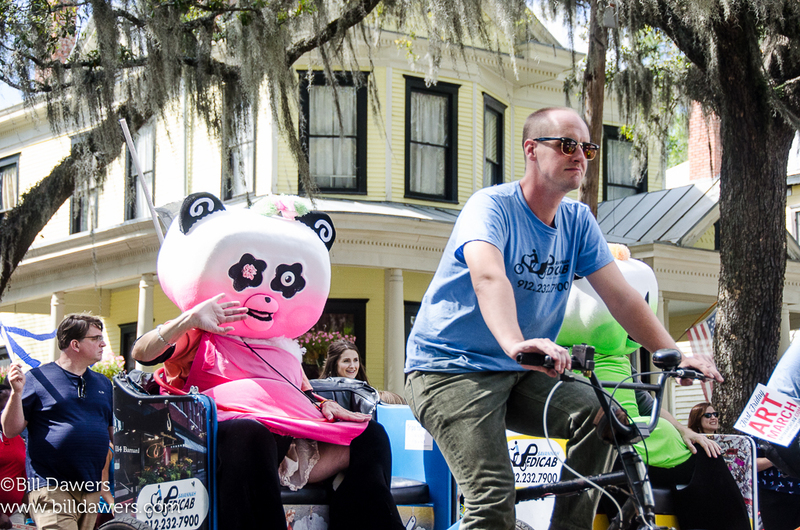 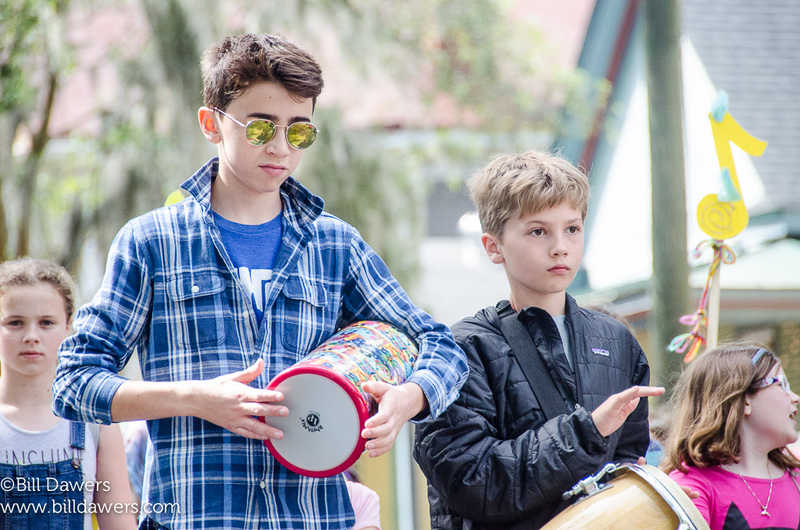 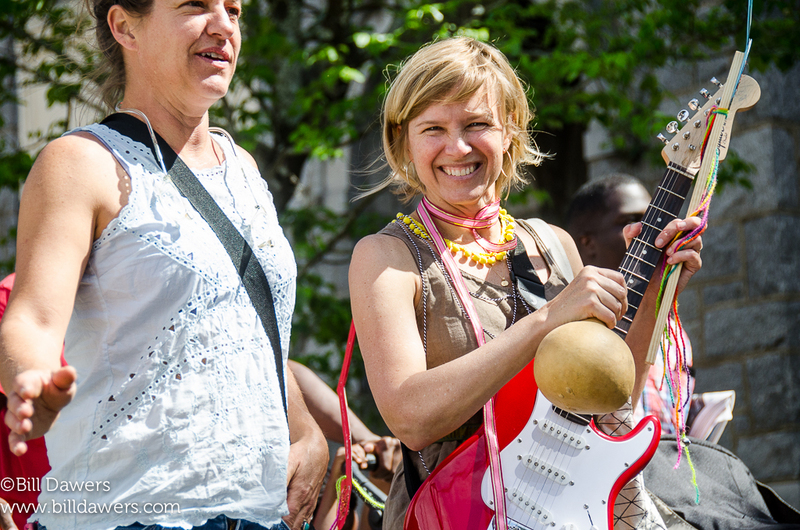 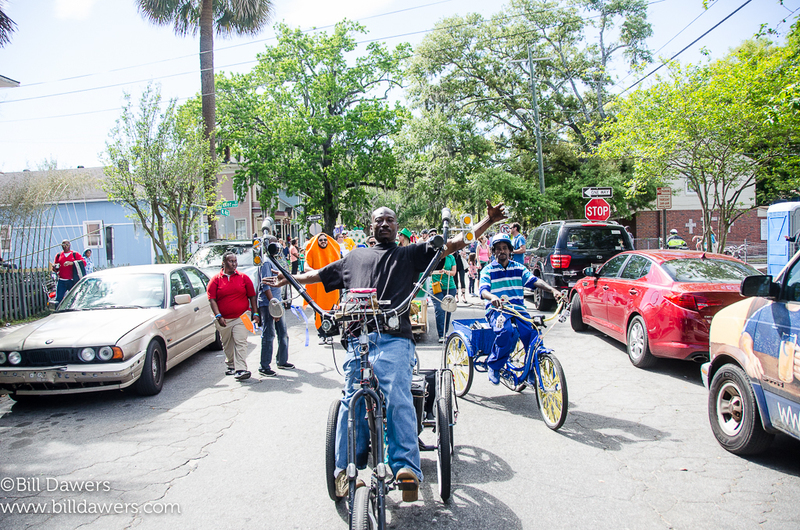 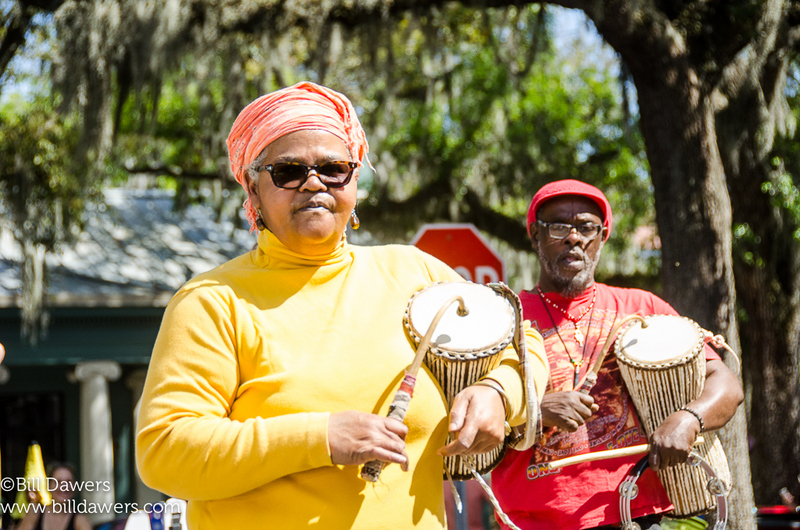 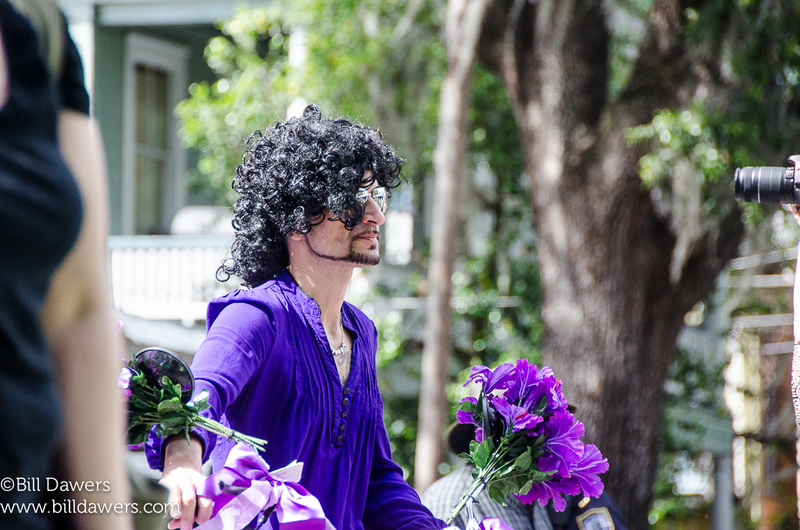 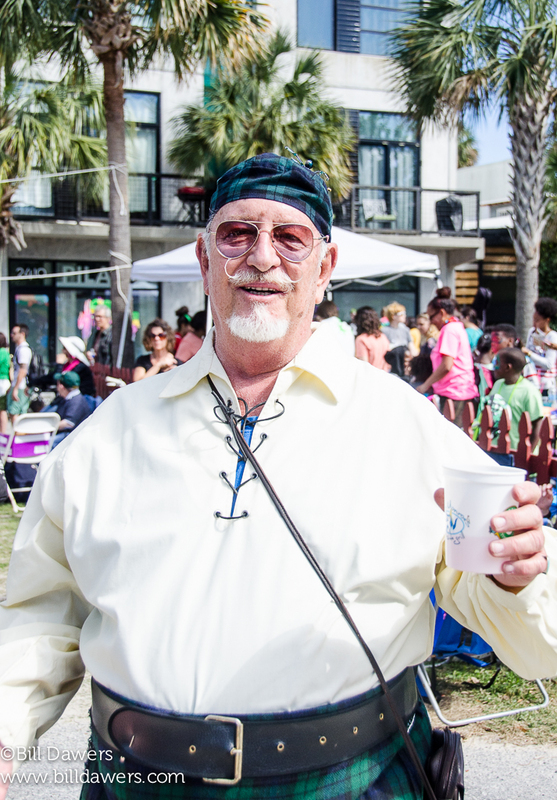 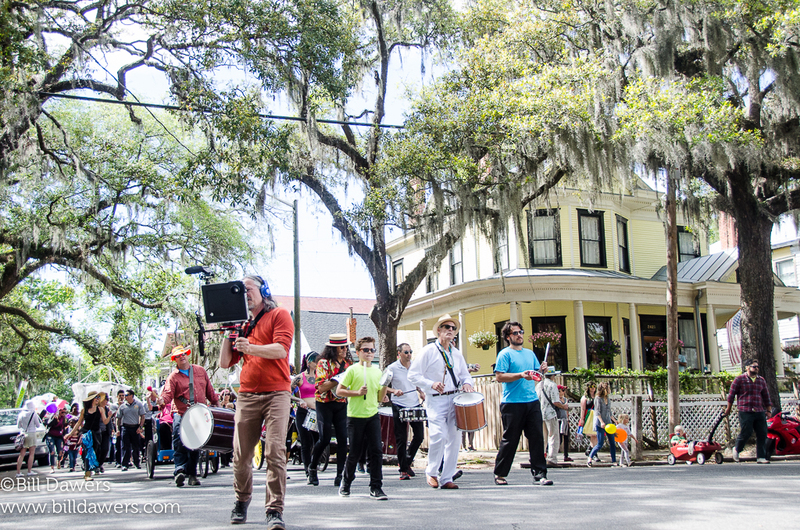 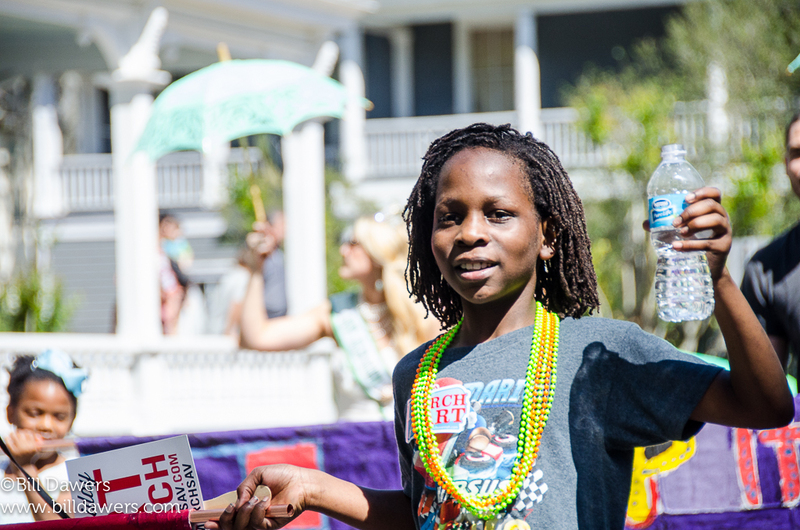 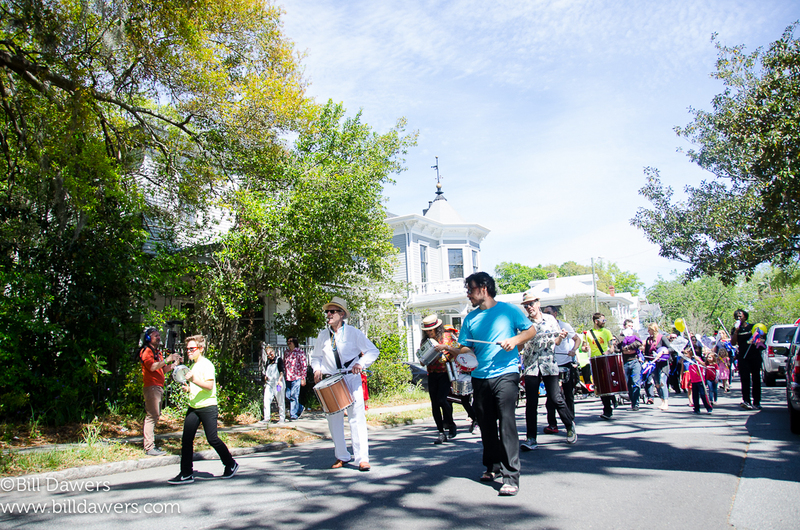 The Art March Parade & Festival was primarily organized by Art Rise Savannah. 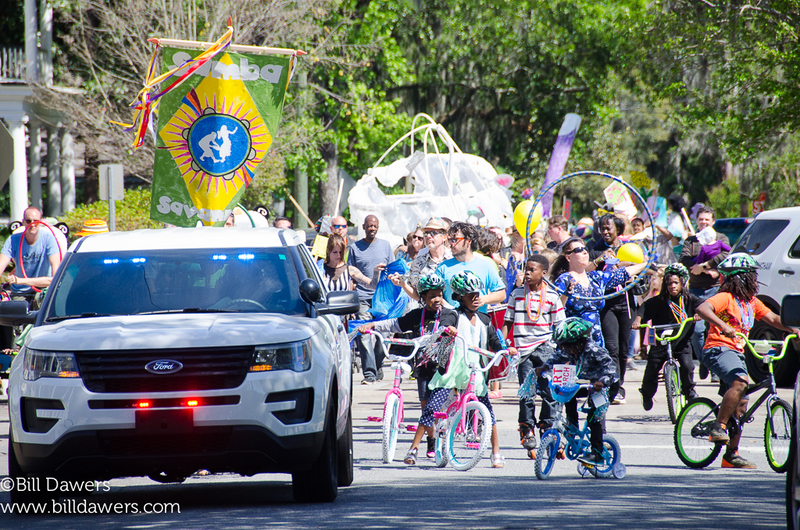 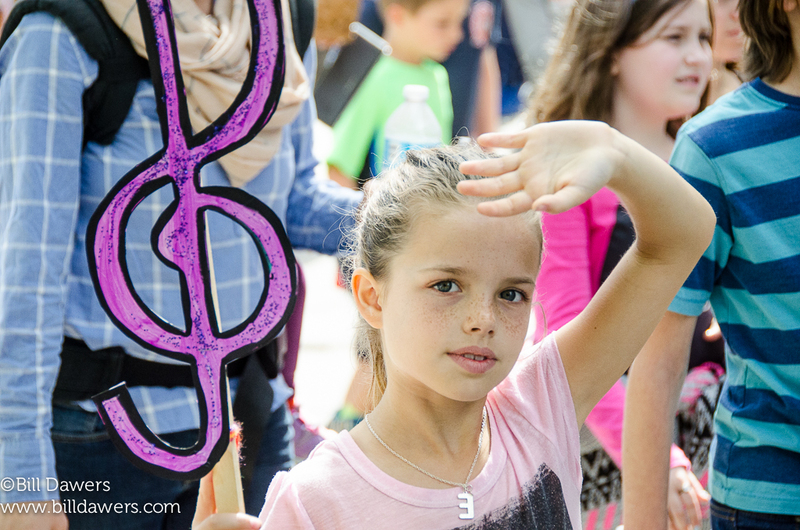 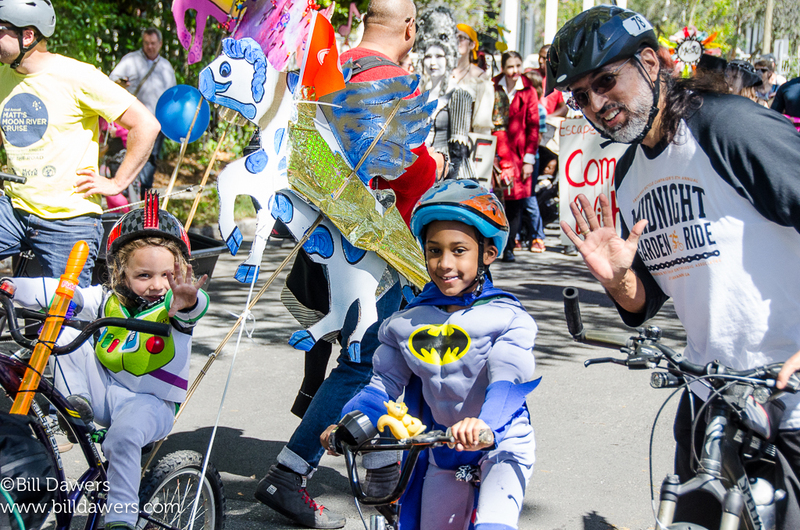 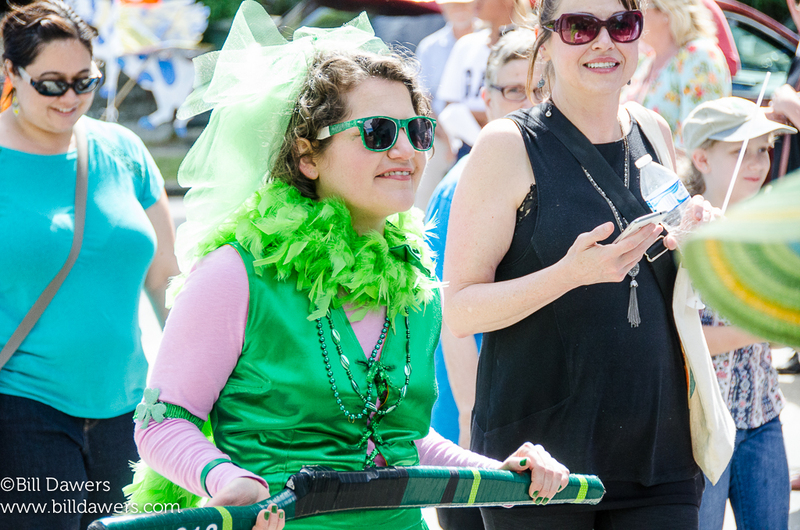 Click on through to that event page for the full list of parade entrants — over 200 people participated with many dozens more along the route or on the festival grounds. 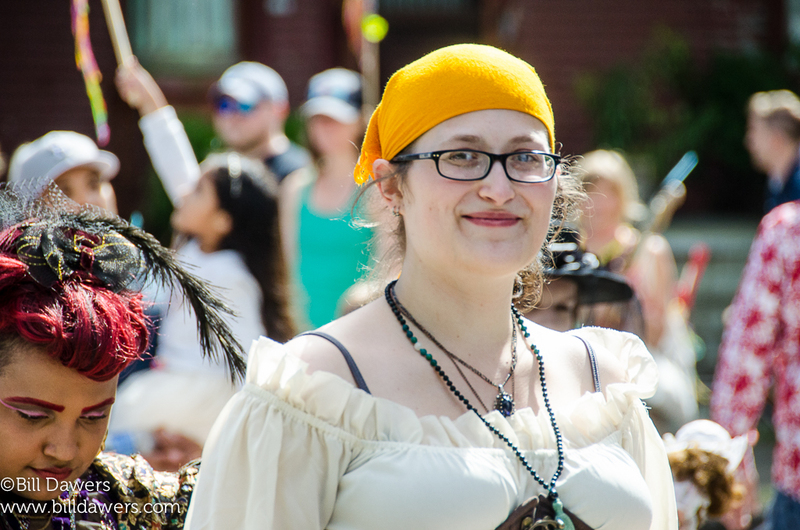 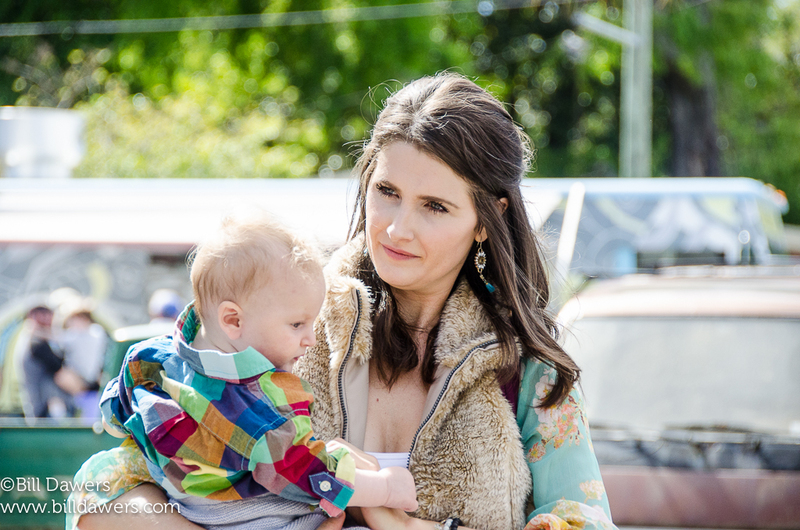 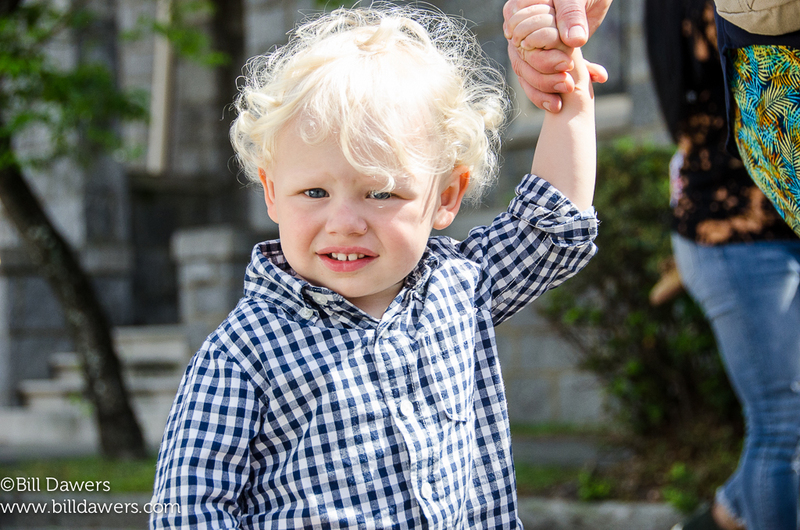 I took some photos of the joyous affair.